Craving for the open road……. 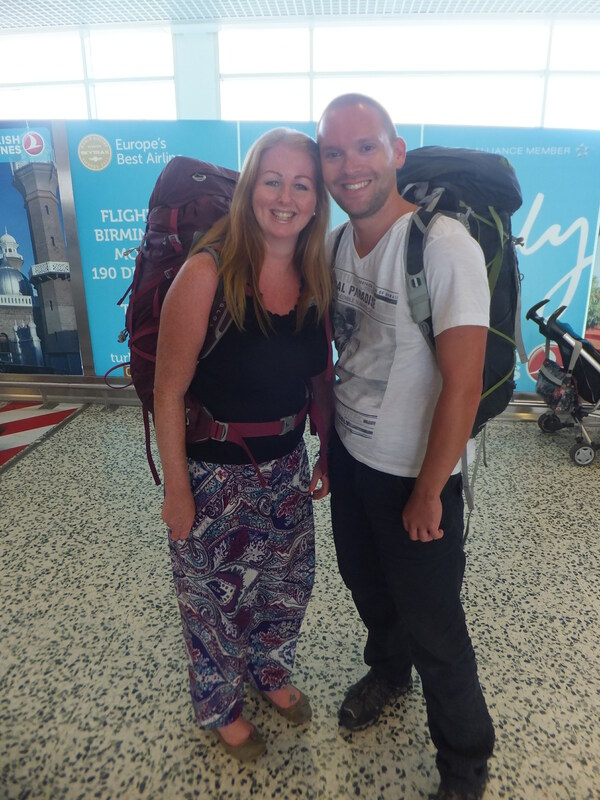 Well….. after 6 months of travelling we have now arrived back in England. We have travelled 60,000 miles through 17 countries in 5 continents and slept in 73 different beds. We have taken every mode of transport imaginable from plane, helicopter, train, ferry, bus through to wheel chair, hitchhiking, and even an elephant…. 33 flights to be exact! We have met many interesting people on our way and have many memories to last us a lifetime, and in case we forget there are the 8,000 photos to help us!! Just about everyone has asked us where has our favourite place been and its fair to say that it is impossible to answer. 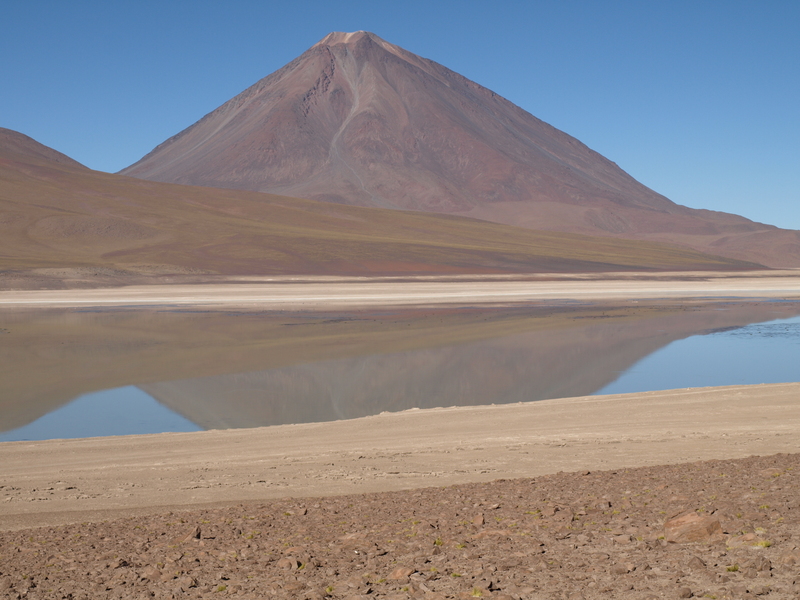 Every single place has been different, and has its own unique characteristics which we have enjoyed. I personally could make a top 25 places but could not work out an order…. I know many life long dreams have been fulfilled! We have not missed many things travelling; Michelle has missed vegemite on toast and the feeling of not sweating, I have missed salt and vinegar crisps and cider….we certainly haven’t missed the cold, rain or work!!! The only downside to travelling as we can see it are uncomfortable beds, how tiring it is, sweating bucket loads and the constant need for sun cream pretty much every day! But, as they say all good things must come to an end….we hope you have enjoyed following our blog, and we look forward to catching up with everyone. For Michelle it’s back to work and for me its job hunting time! 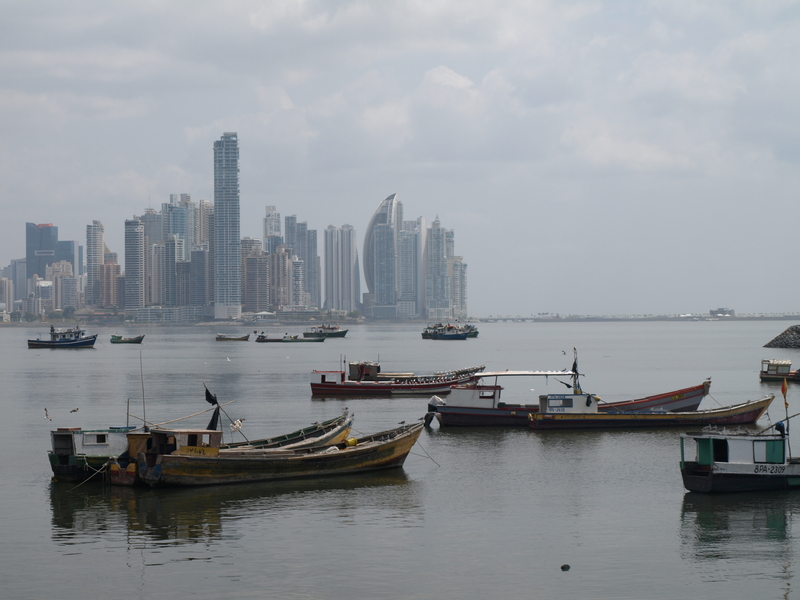 As our trip nears its end we made our way to Panama as a stopover towards our final destination. 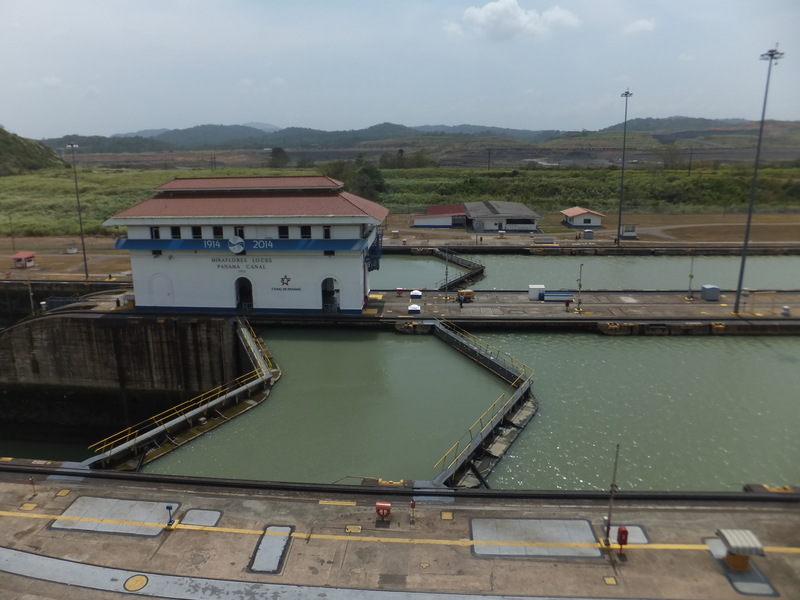 Panama is probably most famous for its canal but from doing research we realised there is huge amounts more which unfortunately we do not have the time to see. Our first calling point was the city itself which it is said resembles Miami, although we have never been to Miami the new town certainly had an American feel about the place. 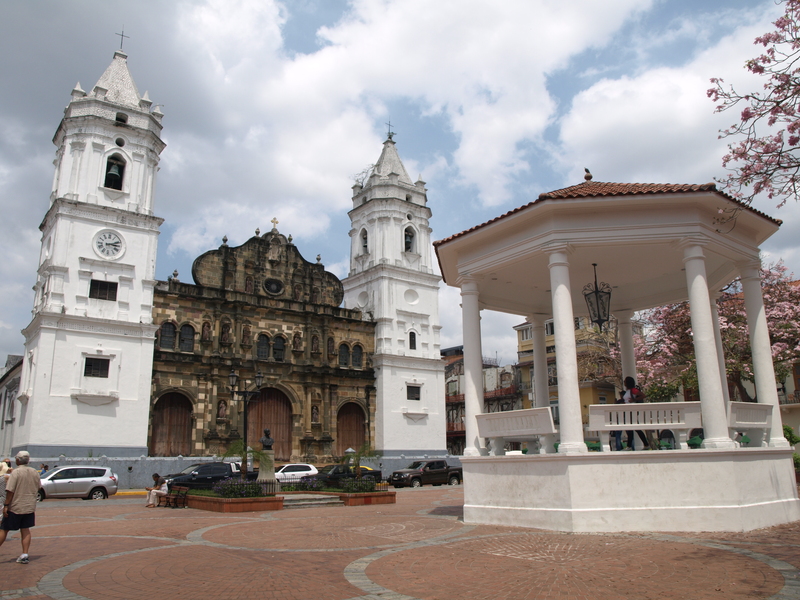 The old town is much more pleasant with quiet streets, squares and picturesque churches, we spent several hours wandering around the streets. 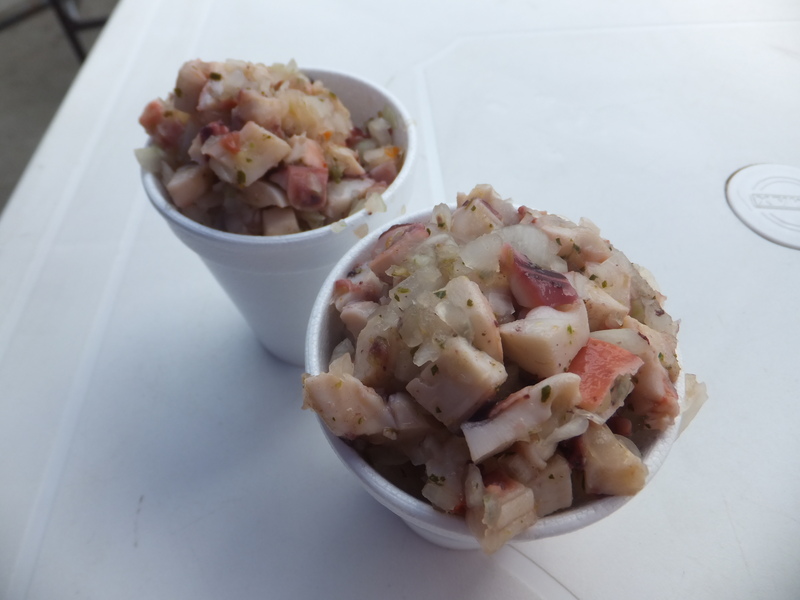 When we got hungry we found a famous fish market where the local delicacy is Cerviche which is raw seafood covered in herbs and lime juice. It was surprisingly nice and refreshing in the blazing heat. 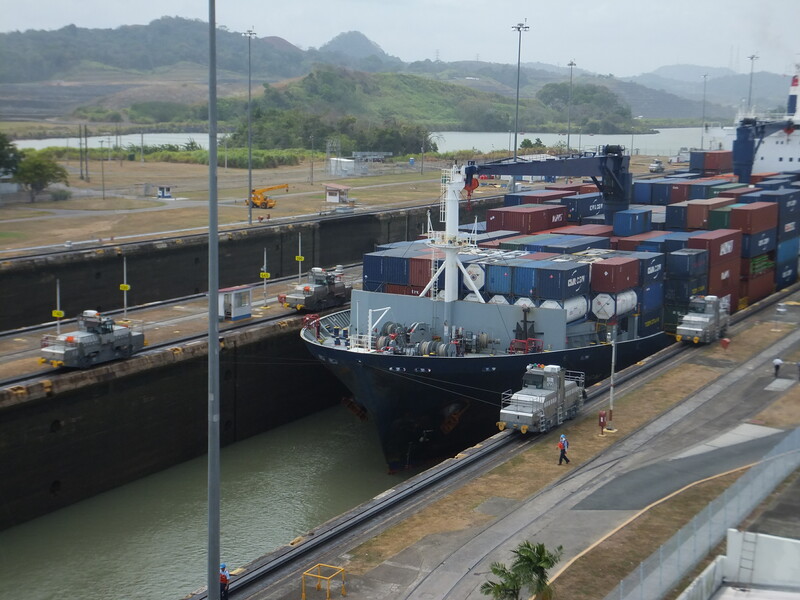 We couldn’t come to Panama and not see the canal, Michelle was not exactly excited to see the modern wonder but I was not put off. We went to Miraflores lock which is one of the 3 locks on the canal and its certainly a little bigger than Birmingham’s locks. 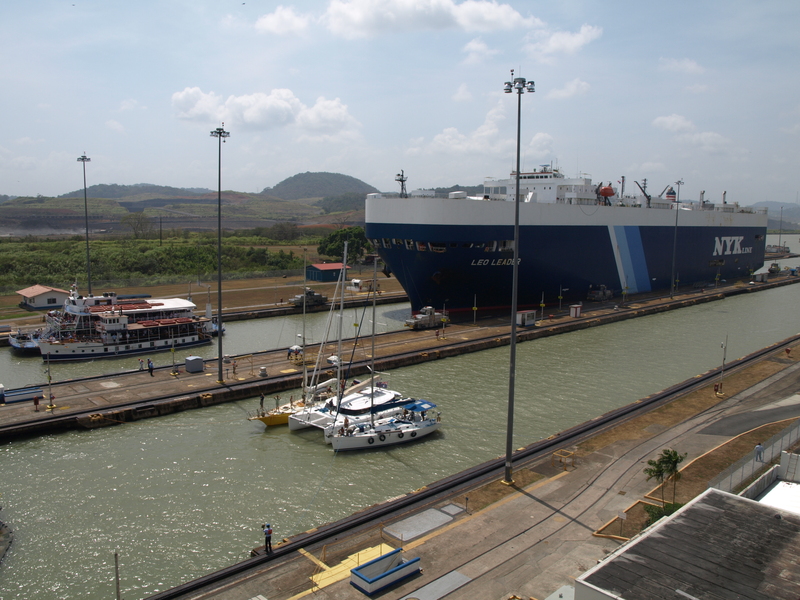 The locks are 300m long, 30m wide and contains 25 million gallons of water, which drain by gravity in under 8 minutes. 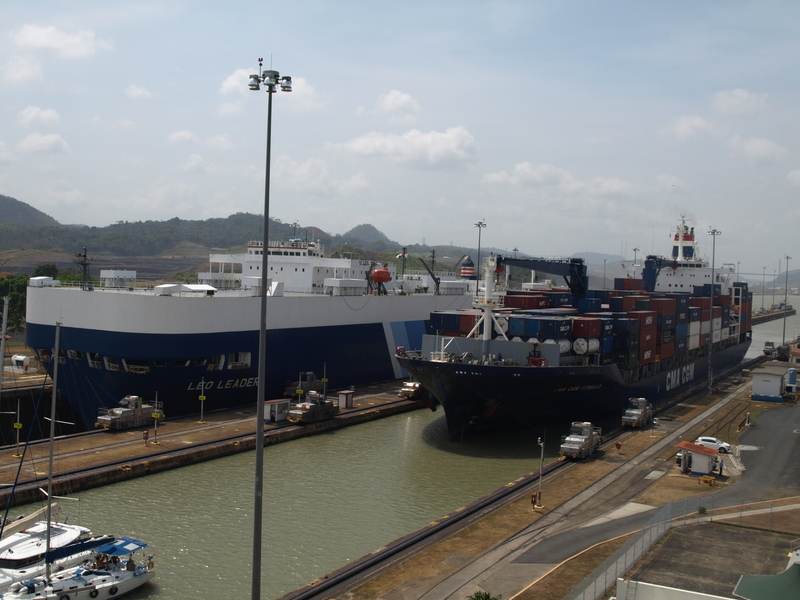 We managed to see several ships traverse the locks and even Michelle was amazed (well maybe she smiled) and seeing the massive tankers quickly making their way from one end to the other. 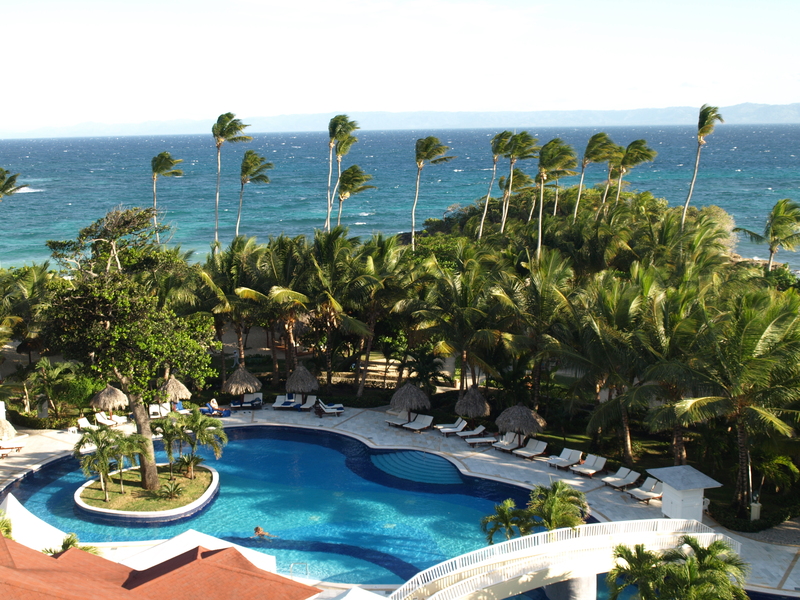 Last stop; Dominican Republic for 11 days all inclusive at a 5 star resort, backpacking really is hard!!! 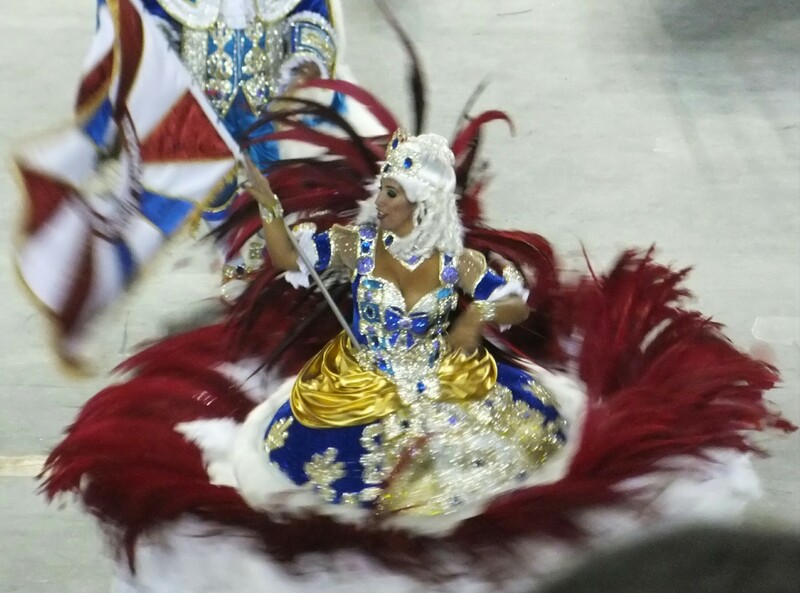 Well our time in Rio has certainly been an experience! 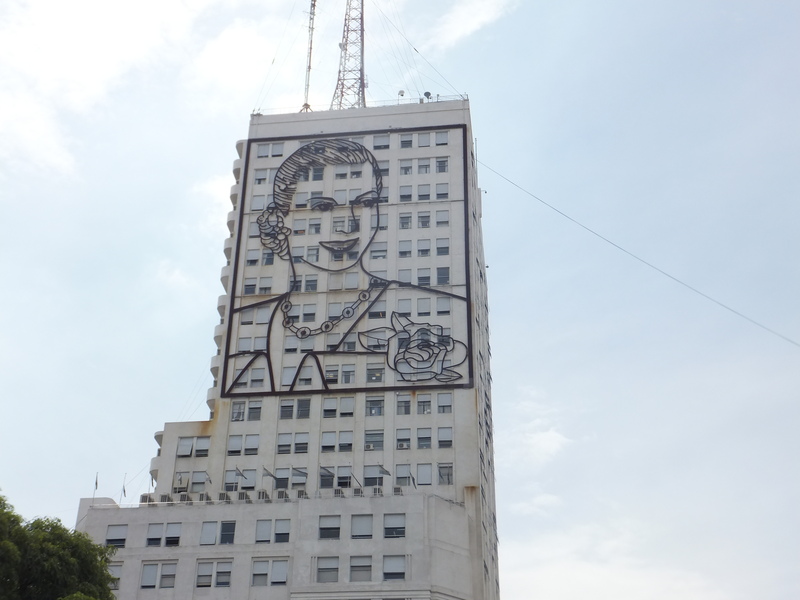 We were staying in an area called Lapa which is the most bohemian of the neighbourhoods in Rio. 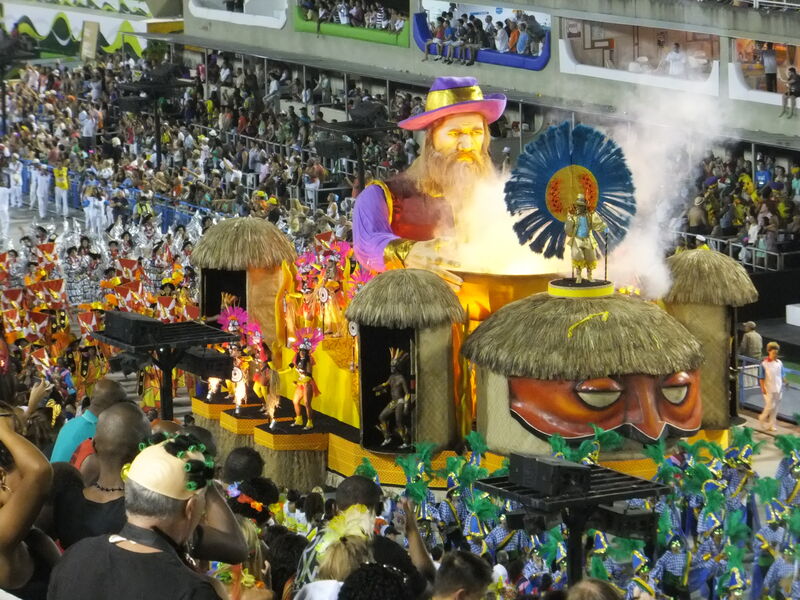 We had tickets to go to the Sambadrome which is where the Samba Schools parade down a long alley….each school has three to five thousand people in their parade. 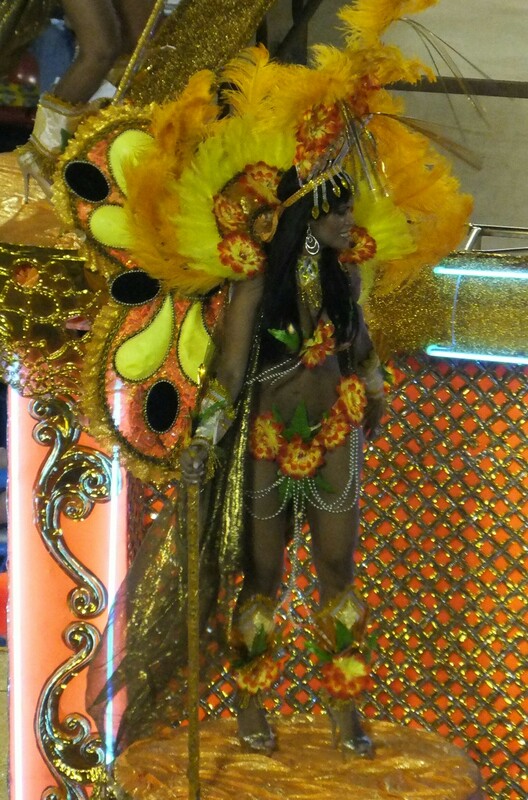 The costumes were spectacular, the alley was full of glitz and colour! 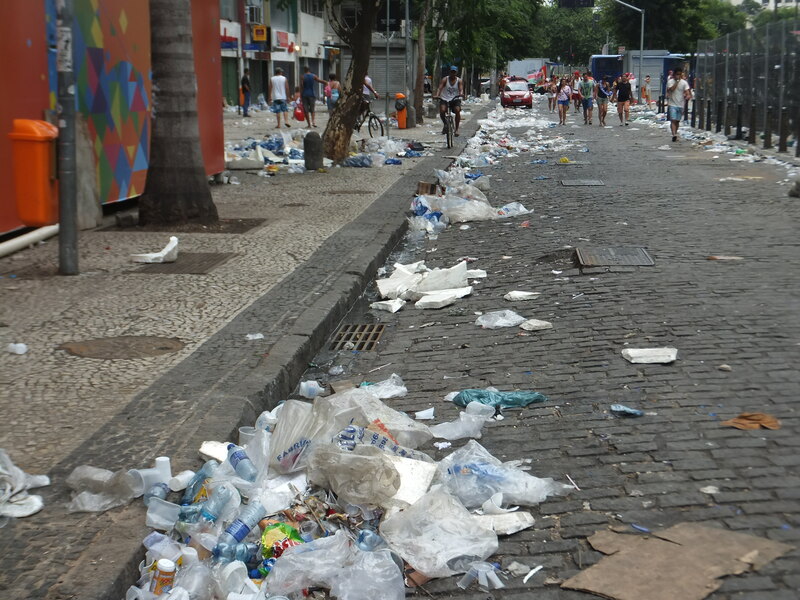 As the carnival has progressed the streets have turned into an absolute rubbish dump…smells of urine everywhere, open rubbish bags as the homeless collect all the empty beer cans…. Apparently the rubbish collectors have been on strike for days which would explain the mess! 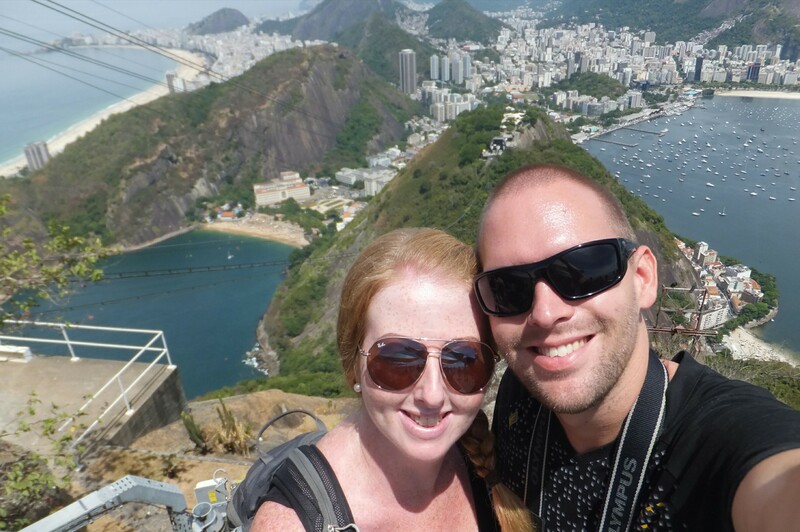 We had to do the touristy things and head to Cristo Redentor which is considered the largest Art Deco Statue in the world. 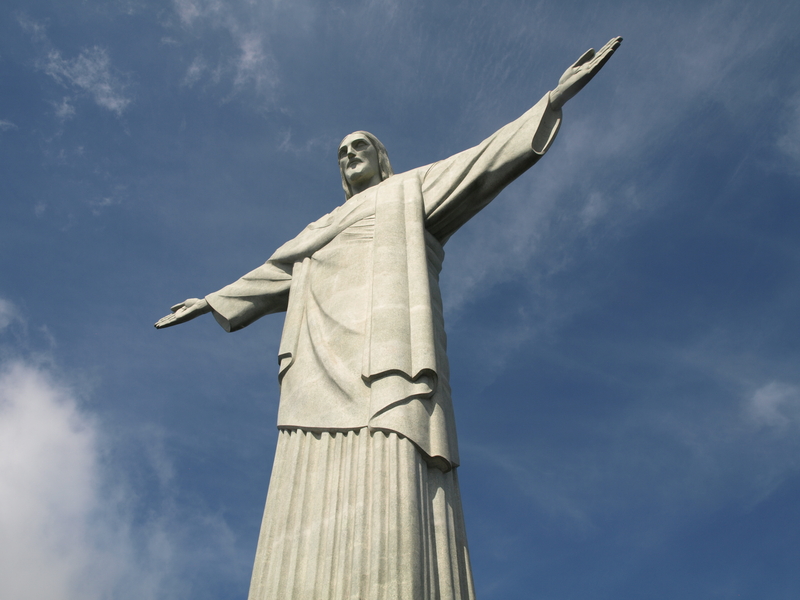 It is 30 metres tall and its arms stretches 28 metres wide. We then made our way to Sugarloaf Mountain which is a peak situated on the mouth of a peninsula that sticks out into the Atlantic Ocean. Its meant to resemble the traditional shape of concentrated loaf sugar! 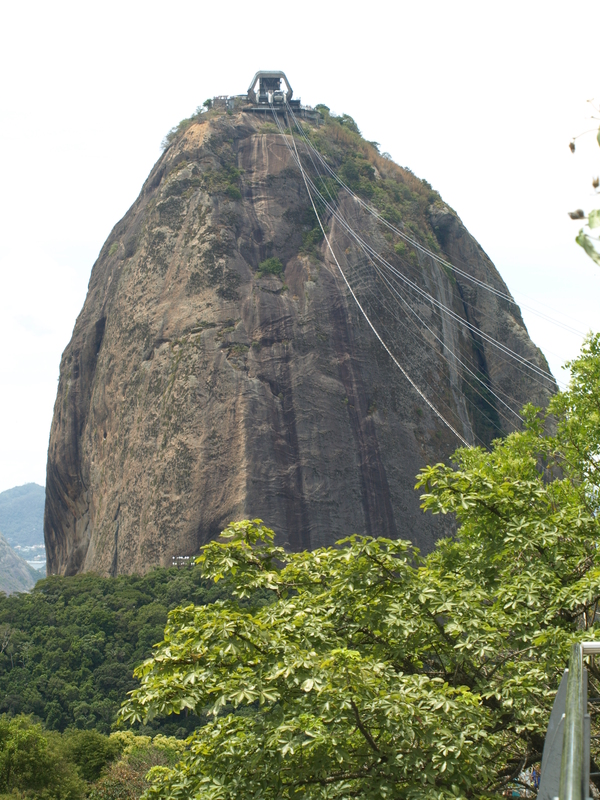 You have to take two cable cars to reach the summit which rises 396 metres above the harbour. 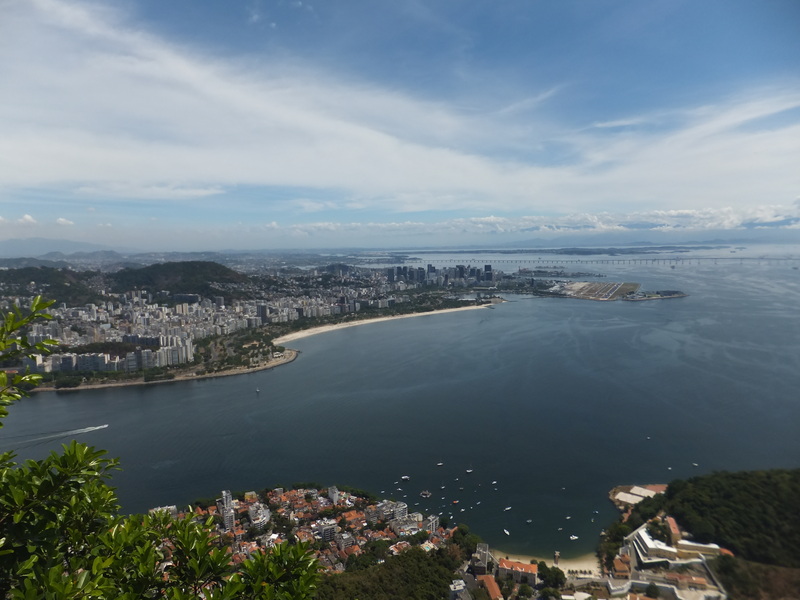 Great views across Rio! 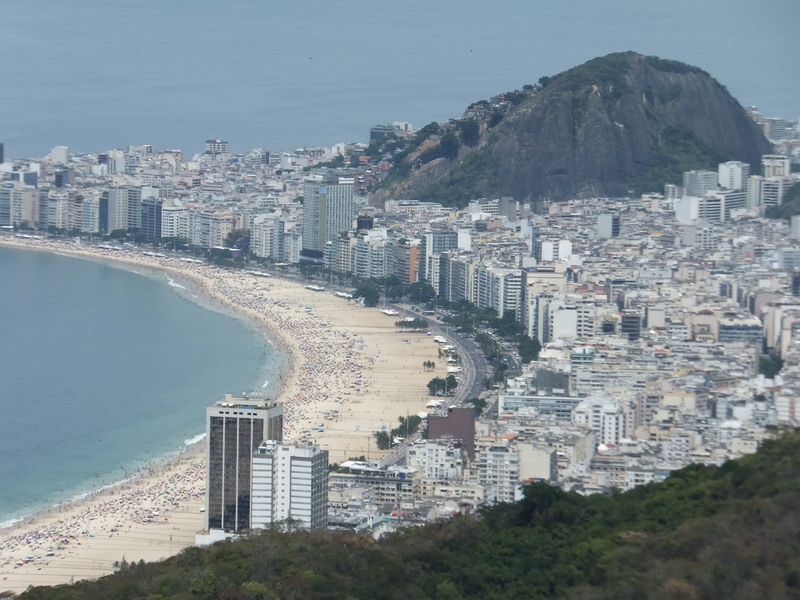 Our time in Rio wouldn’t be complete without spending a day at Copacabana Beach…. It seems the done thing for a woman is to wear a thong bikini regardless of how big or small your booty!! You could certainly spot us tourists who had “granny pants” bikinis on! 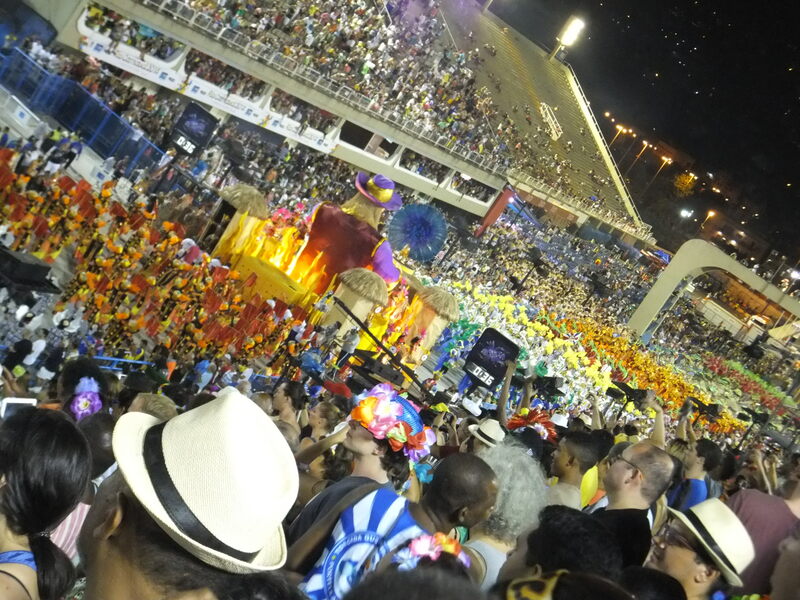 The beach was a hive of activity, cocktails were flowing, men playing football / volleyball in their tiny meat hangers and the women parading their bottoms! Oh and it was 39 degrees in the shade! 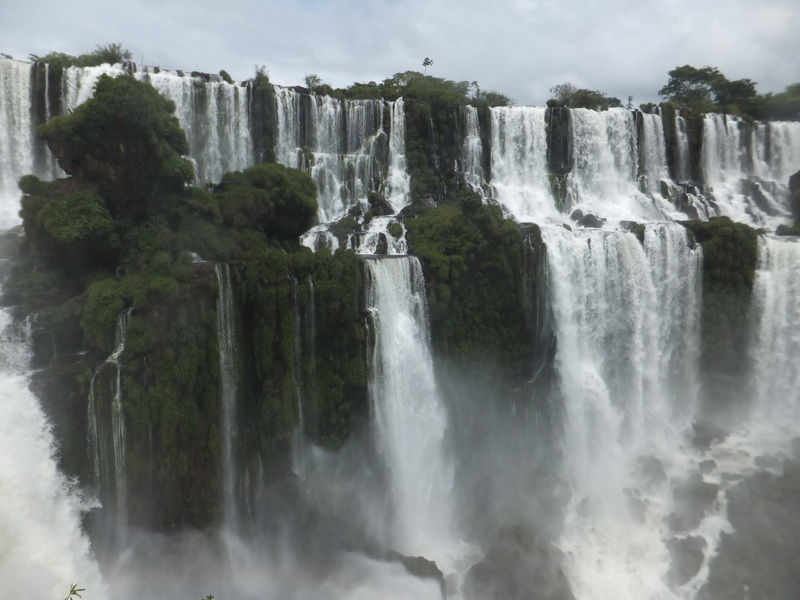 We left Buenos Aires set for a 20 hour bus ride to our ultimate destination of Iguazu Falls. 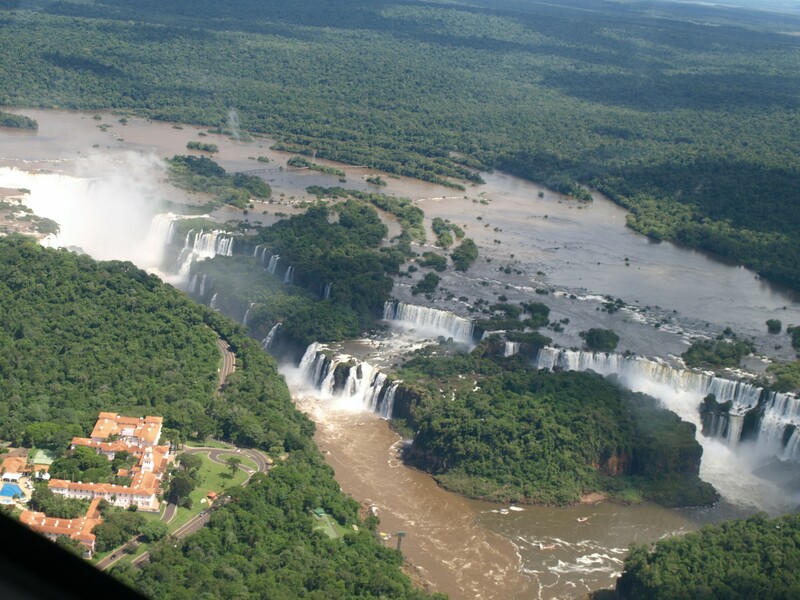 Iguazu Falls are on the Brazil / Argentina border near Paraguay and is one of the wonders of the world…and we now know why! 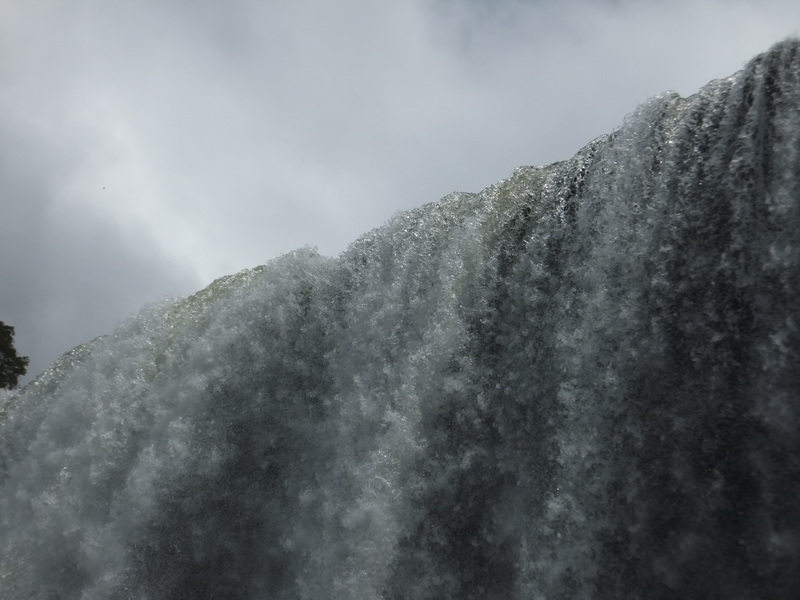 The falls are not the highest, widest or biggest by water volume, however they have to be the most spectacular waterfalls in the world…they make falls like Niagara look like nothing. 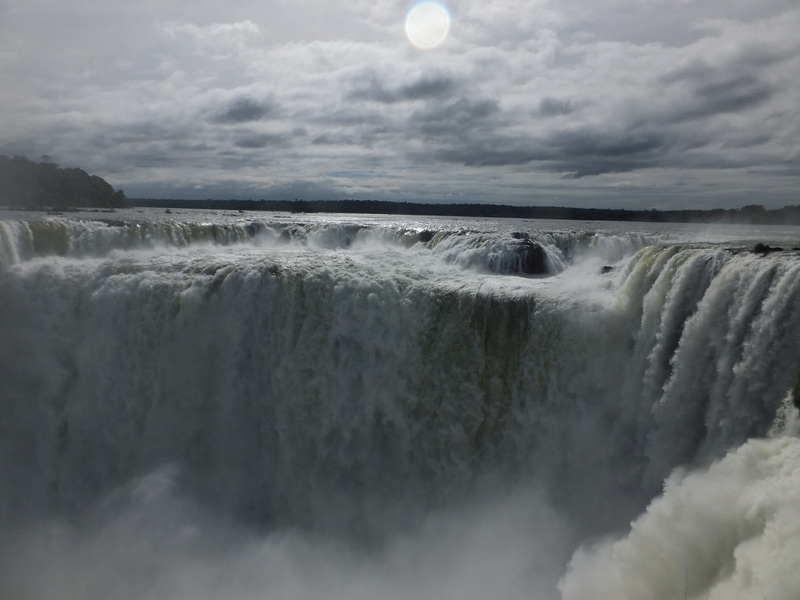 We arrived at the Argentine side to see the falls up close with around 3 million litres of water a second tumbling from the falls. 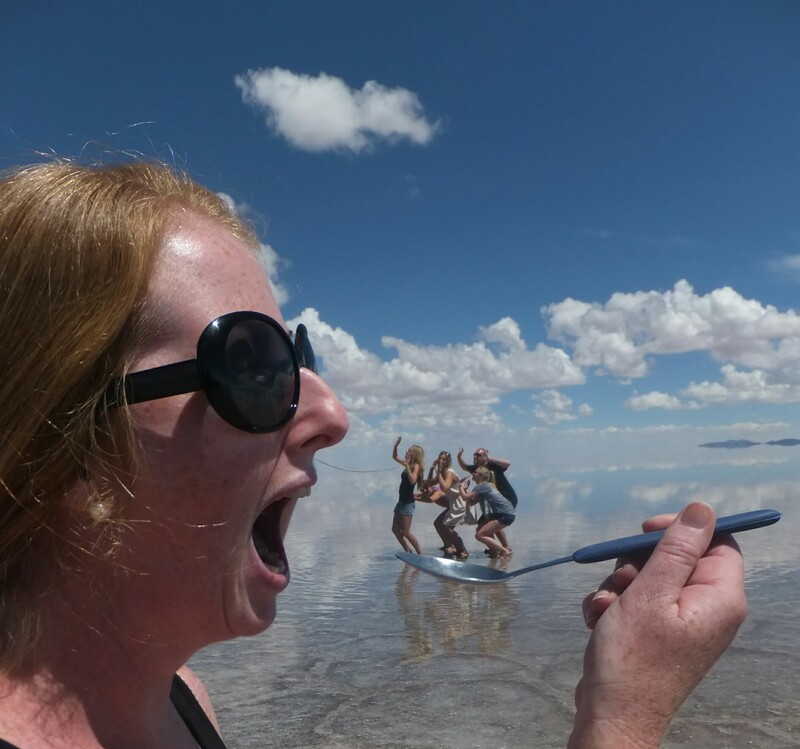 There is little to write except Wow…so enjoy our photos! 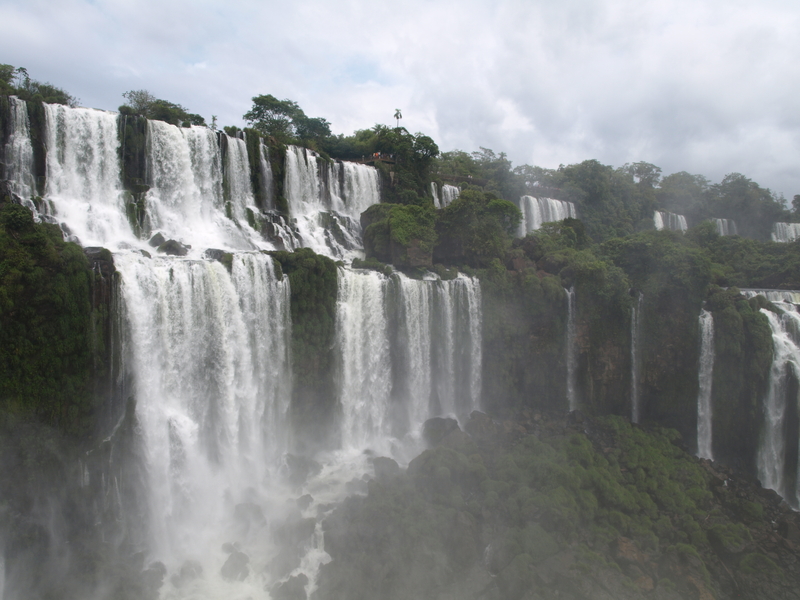 The next day we went to the Brazilian side to get a better panoramic view of the falls. 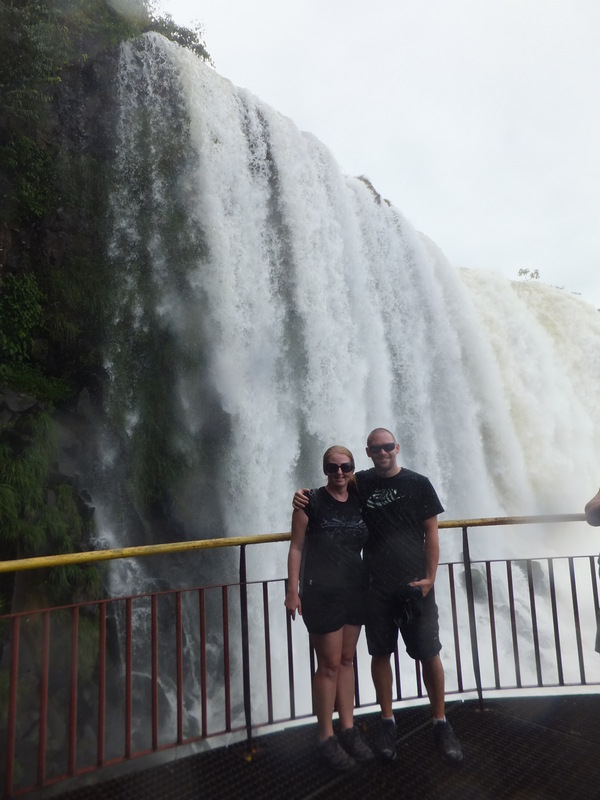 We got soaked both days, the spray coming off the falls is incredible and at times it felt like we were walking through a storm! The noise of the water was deafening! 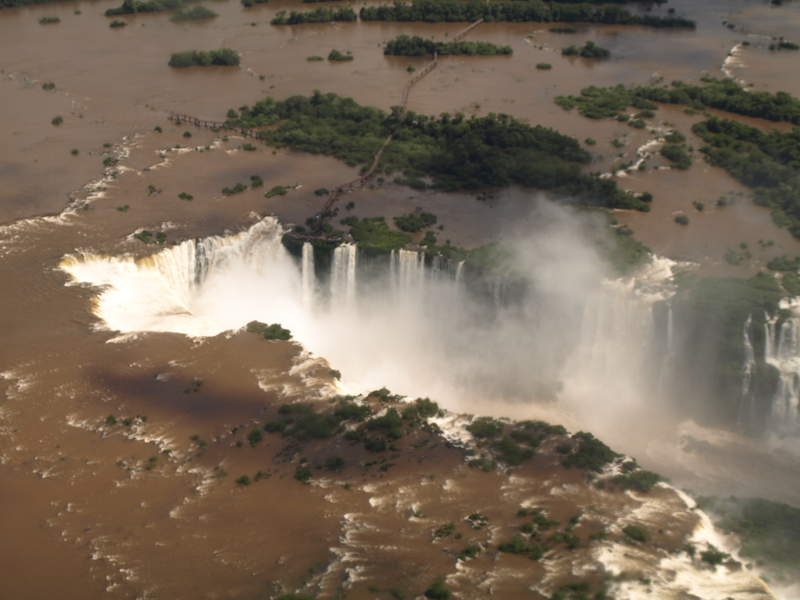 After visiting the falls we decided to take a helicopter over the falls for yet another beautiful view of this wonder. Michelle and I were a little nervous to start off with as we had never been in one before but it was an absolutely amazing experience and worth every penny! 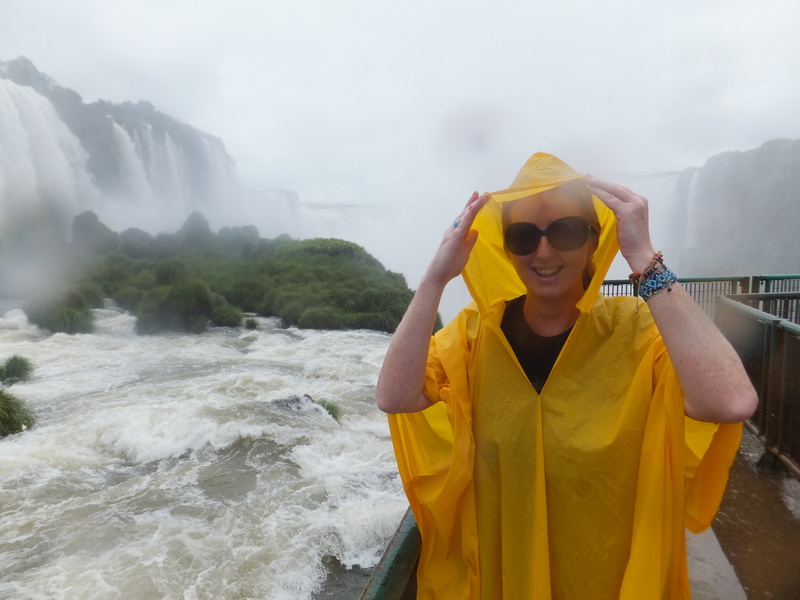 Up until now I have never been able to say where has been the most amazing place we have visited….but I don’t think anything can top Iguazu! 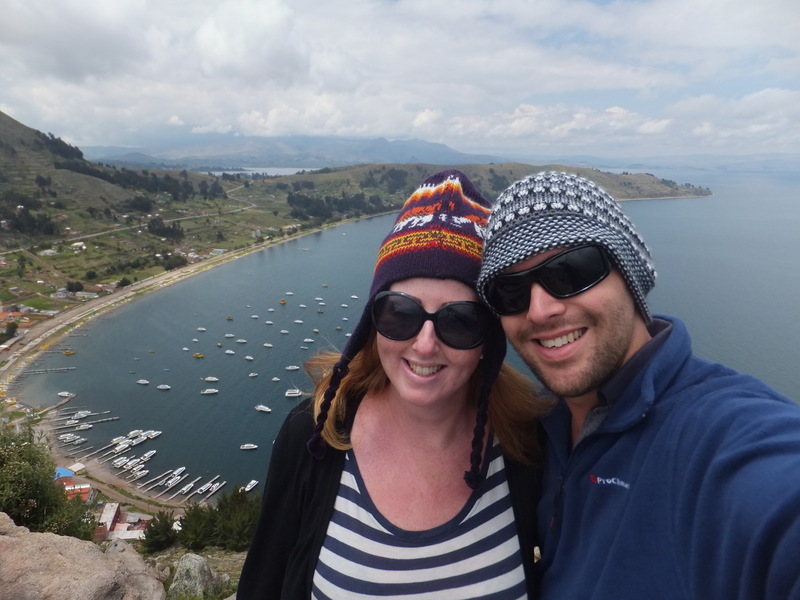 After the high altitudes of Peru and Bolivia we were very very happy to get into Argentina, we were able to breathe again, walk up stairs and no more cold weather. 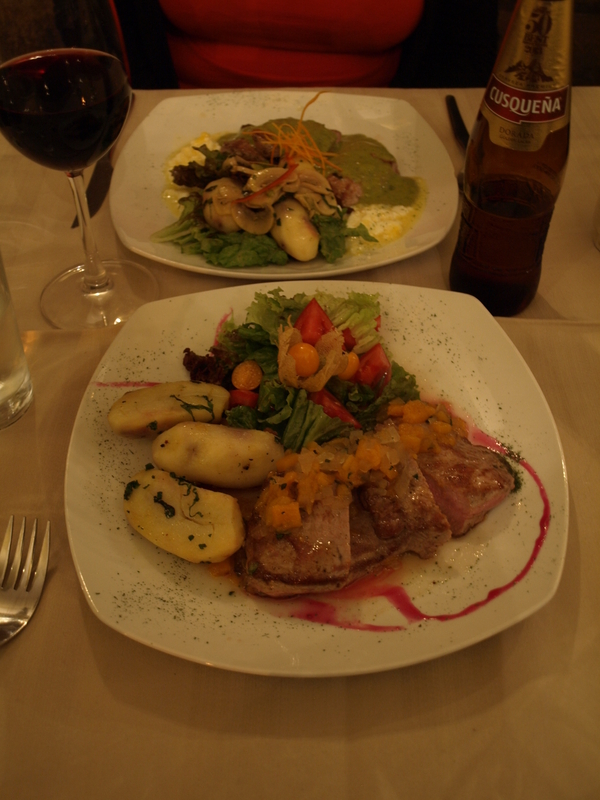 However the best thing was the improvement in food, mainly steak and wine. 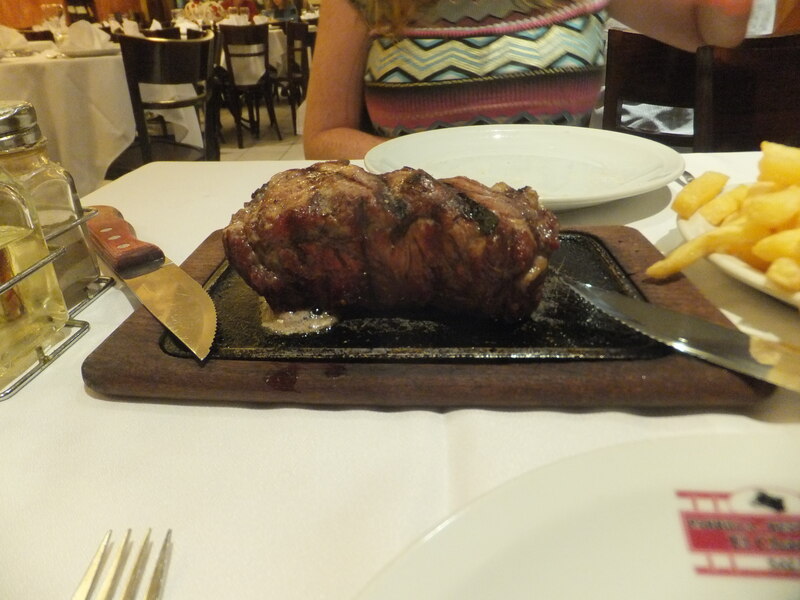 Its fair to say that we have had the best steak in our lives, they are over 2 inches thick, cooked to perfection, amazing texture and flavour, and incredibly cheap. So much so we have eaten steak 7 nights running and don’t plan on stopping anytime soon!! 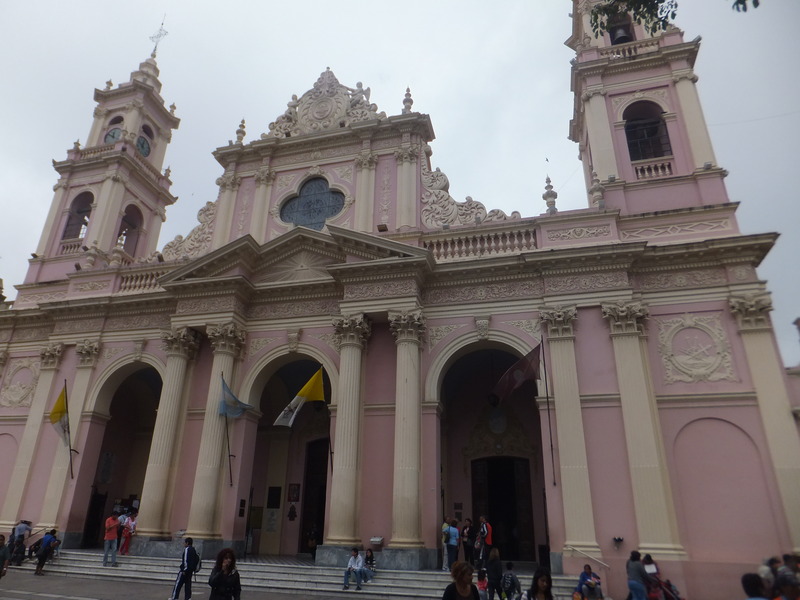 Our first destination was the town of Salta deep in the wine growing region in northern Argentina, the town itself was nothing special but it was nice to feel clean and relax for a couple of days. A little sight seeing was done, visiting a very European looking square, markets and a cable car up a mountain, but for me it was all about the steak!! 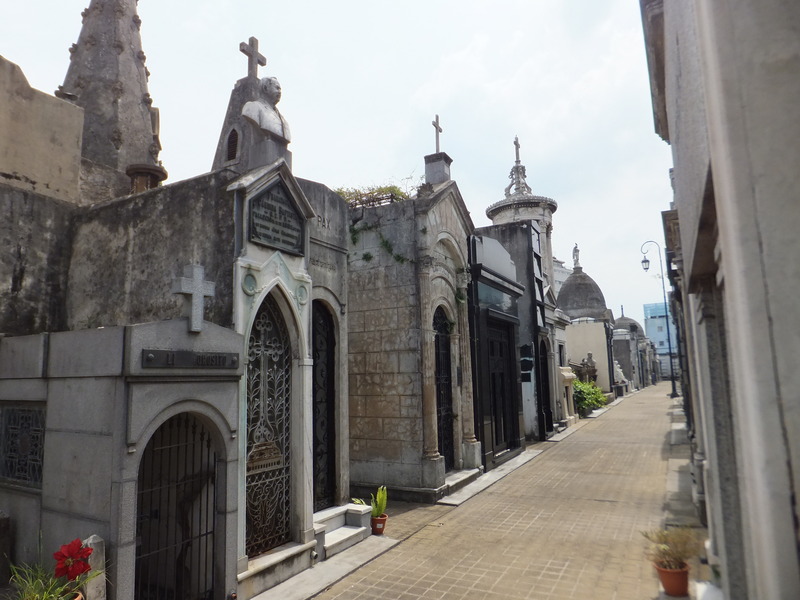 After Salta we travelled to Buenos Aries the capital of Argentina, which had some charm. 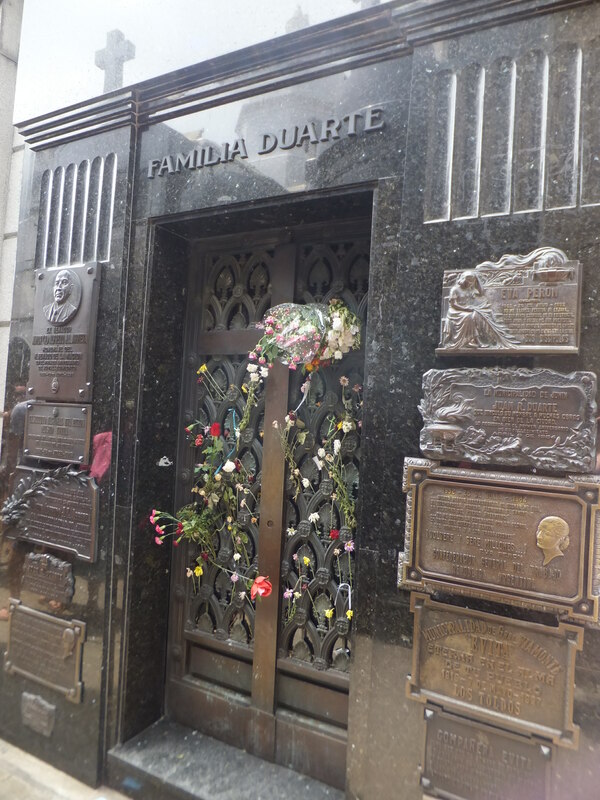 We spent time walking around the city, seeing the sights and walking by the river front, we also included a trip to Evita’s grave. The grave itself was nothing special but the graveyard was amazing with every grave built as a house to the person or family, each different, some very large and impressive displays and some not so fortunate just had a hole in the wall. 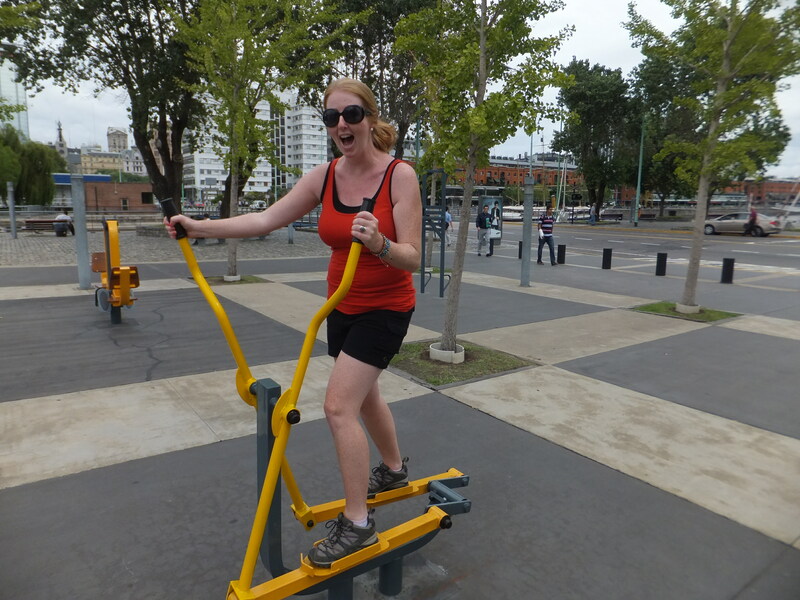 Michelle trying to work off her copious amounts of red wine and steak! With the Argentine currency exchange being so volatile at the moment there are people on the streets begging to exchange our american dollars into pesos. 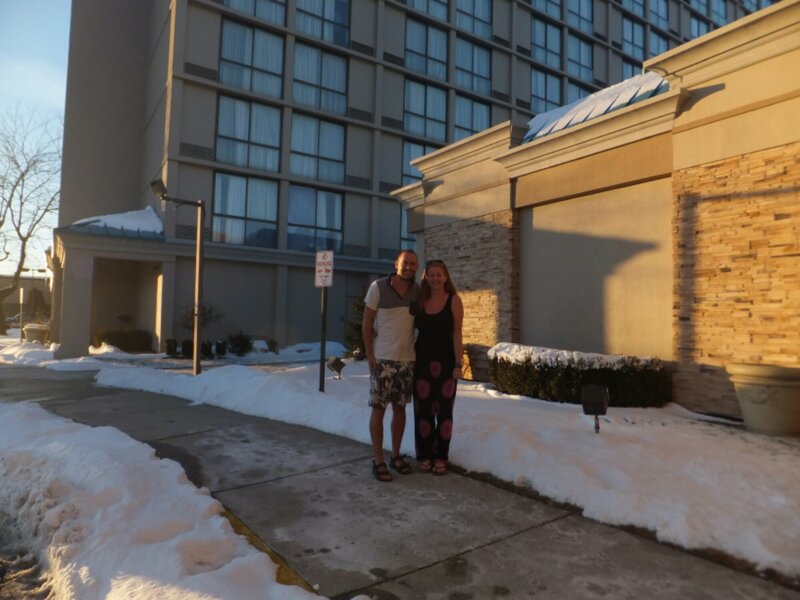 After Michelle used her negotiation skills, we found a decent exchange rate…..we felt like naughty children as we sneaked off to exchange our dollars at an incredibly favourable rate (we made a 50% profit on our dollars). It’s all completely legal and safe but it still felt like we were doing wrong!! Michelle gave me 2 options whilst we were here, either join her for a tango lesson or watch a show, some say (well Michelle says) that I took the easy option and wanted to see a show, however I maintain that it’s better to see professionals doing it and my dancing skills would have shown Michelle up! 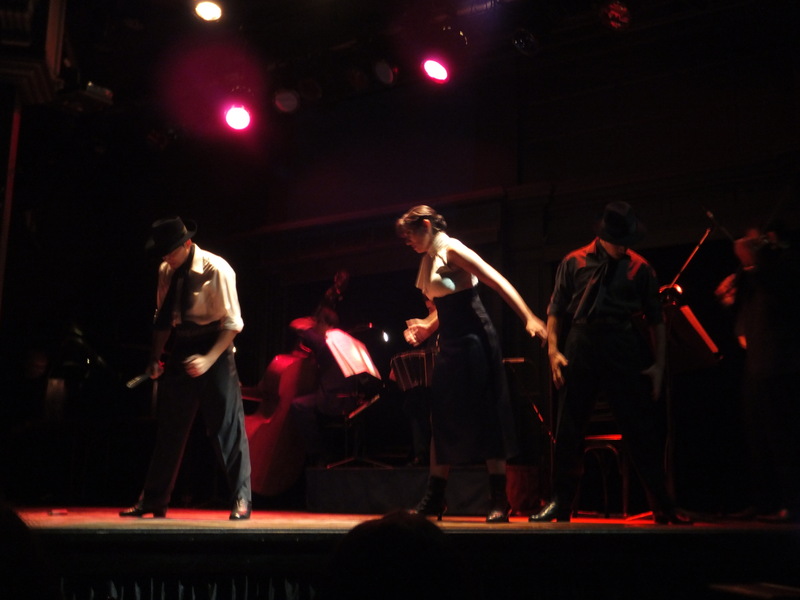 As it was the show was very enjoyable with some good live music and impressive dancing, but I still don’t want to learn it!! 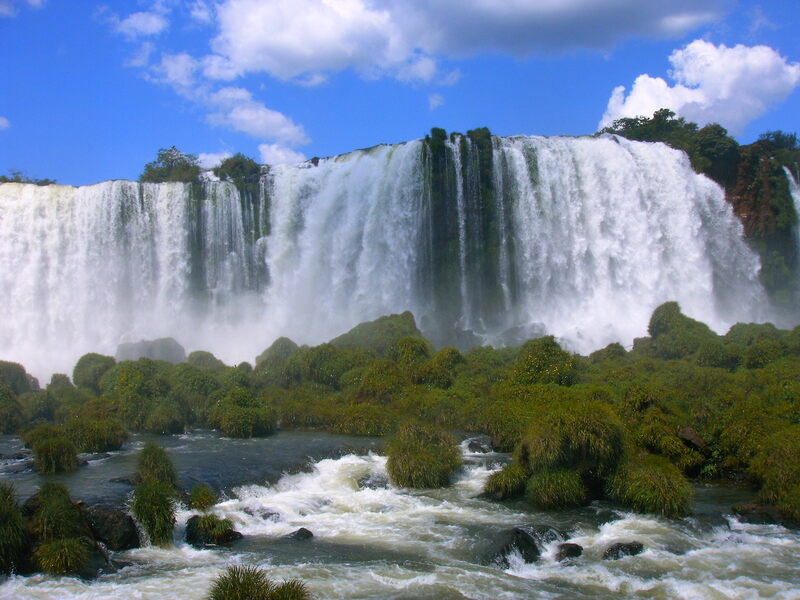 After more steak its time to leave Buenos Aries and head for Iguazu falls. 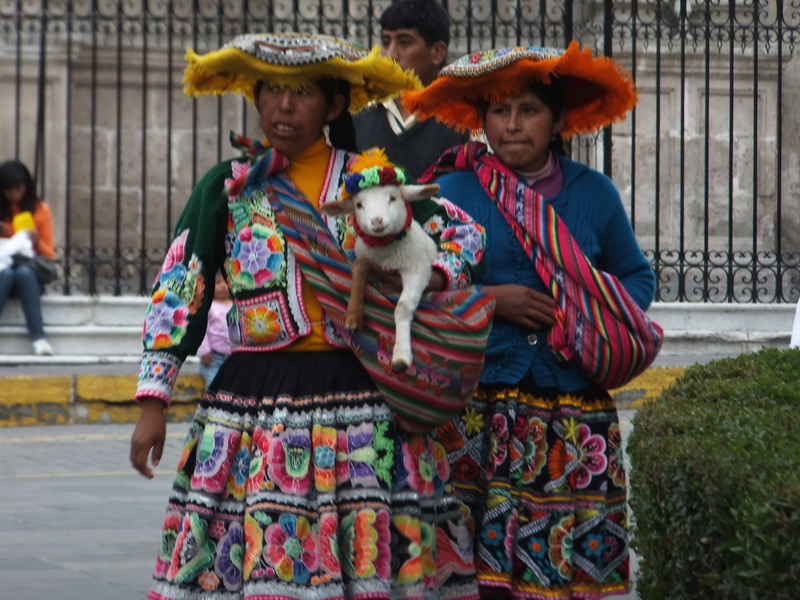 We arrived in La Paz in Bolivia which is the highest administrative city in the world… It sits in a bowl surrounded by mountains and is 3650 metres above sea level. 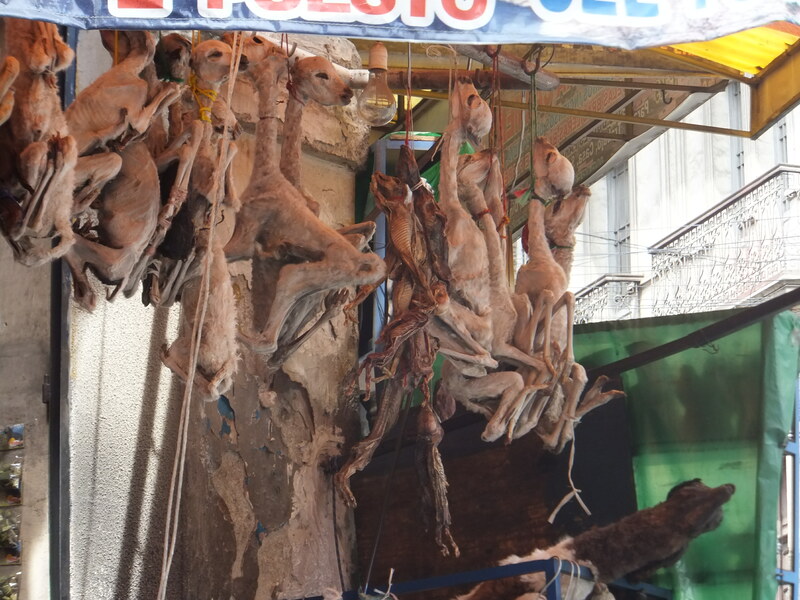 We wandered around the town which certainly had some charm to it…we came across the witches market which is run by local witch doctors…there were potions, powders, dried plants and animals…the most famous items sold are the dried Llama foetuses which are buried under the foundations of most houses as a sacred offering to their goddess. 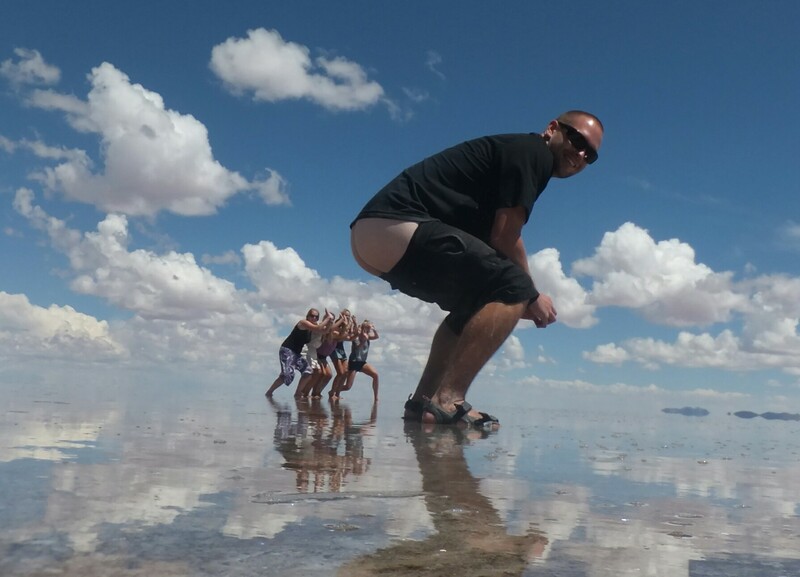 It was time to take the bumpiest bus journey in history…..it was an over night bus on dirt roads to a very small town called Uyuni which is basically in the middle of nowhere. Imagine 12 hours sitting on a bumpy rollercoaster whilst trying to sleep! 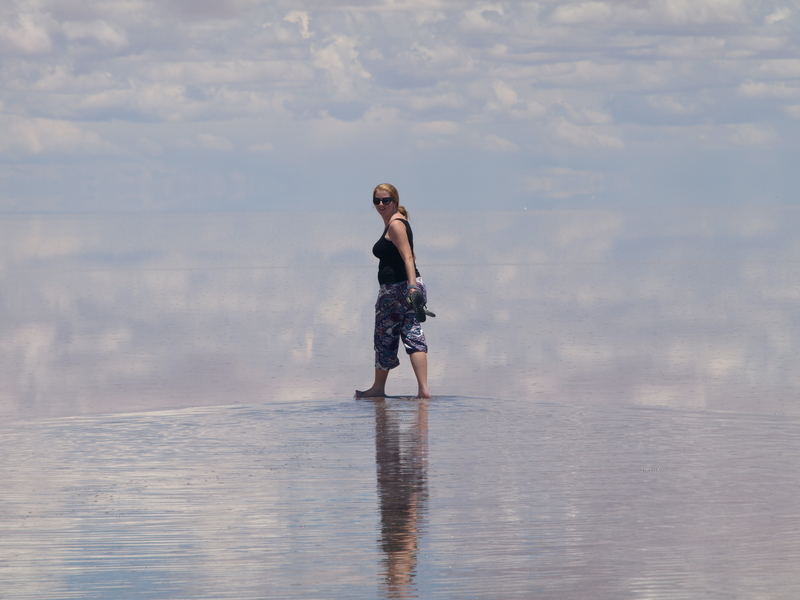 The reason for going to Uyuni was to do a 3 day tour in a 4WD to see some of the most amazing sights yet on our journey. We set off in our 4WD knowing the next 3 days were going to be the roughest we have travelled yet. 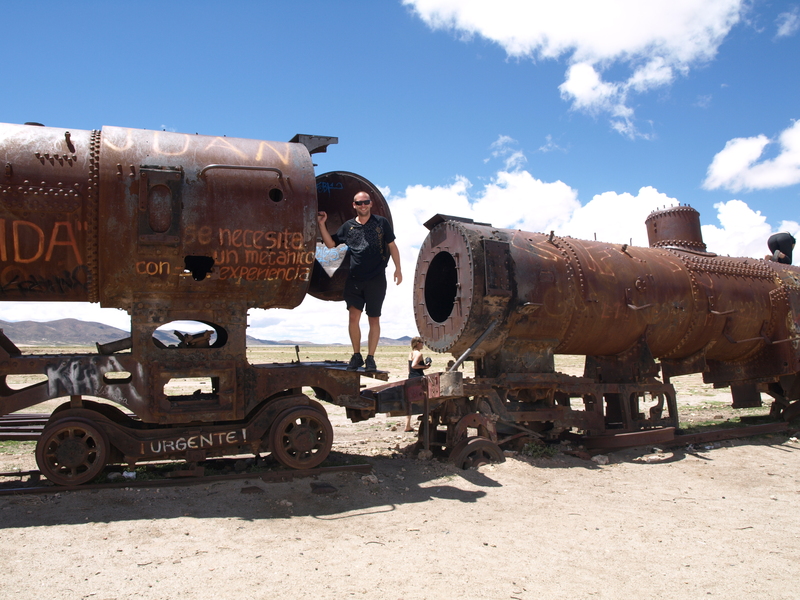 Our first stop was at the train graveyard where 19th century British trains were left to rust after becoming redundant. Andy had fun clambering over them! We then saw a salt hotel where everything is literally made of salt even the beds! 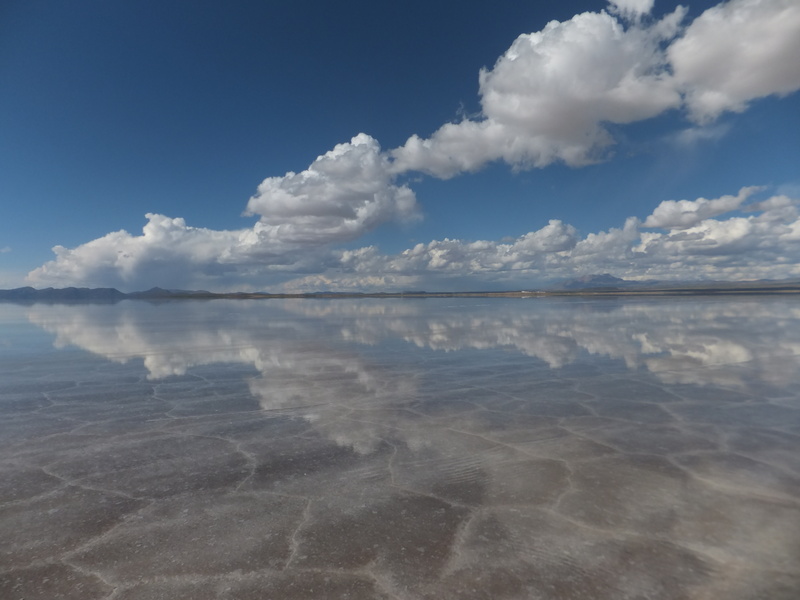 We then made our way to the Salar de Uyuni which is the worlds largest salt flats at 10582 square kilometres….being the rainy season the whole salt flats were covered in a couple of inches of water which combined with no wind acted as a huge mirror with no end in sight. We walked around in the water and even crunched our way through what looked like snow flakes which were in fact made out of salt…. 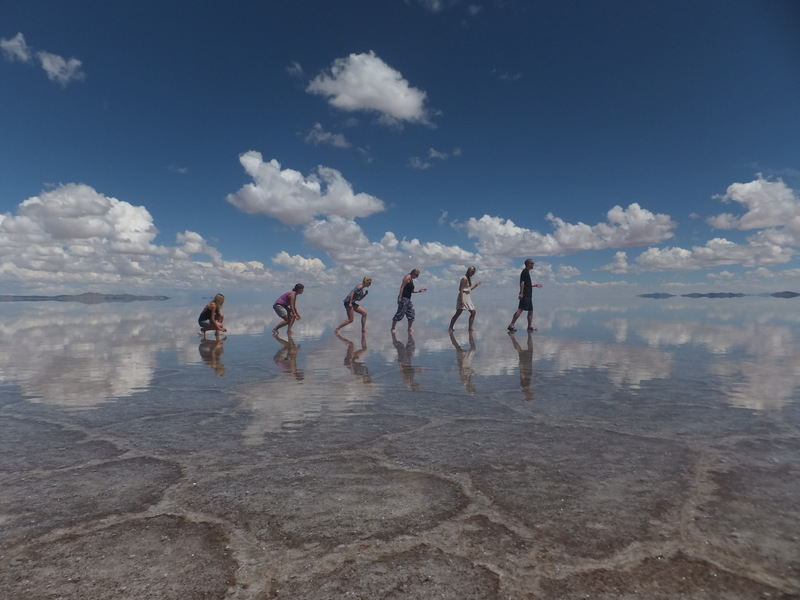 The salt was drying on our legs and clothes and we were soon covered in white crust which was impossible to remove! 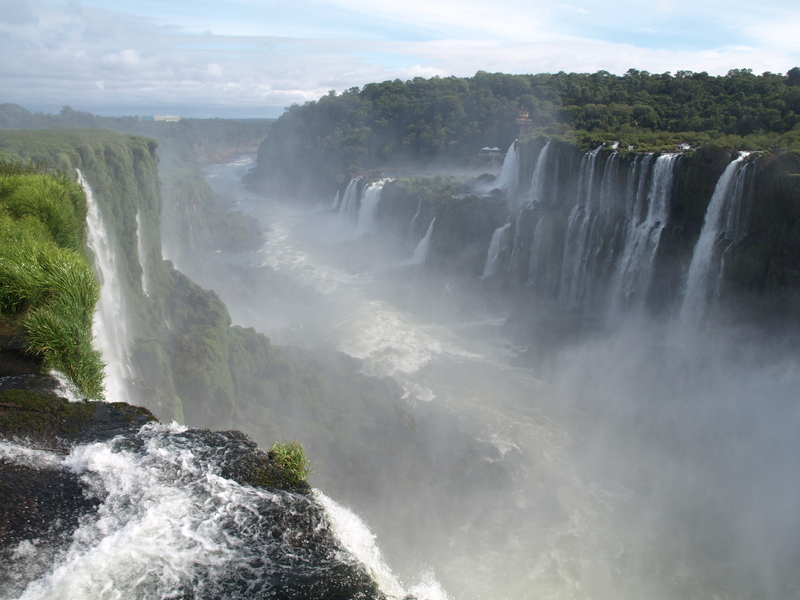 The scenery was amazing… We have never seen anything like it before! Our first nights accommodation was interesting, there were 24 of us fighting for hot showers as we knew the second nights accommodation didn’t have any running water. 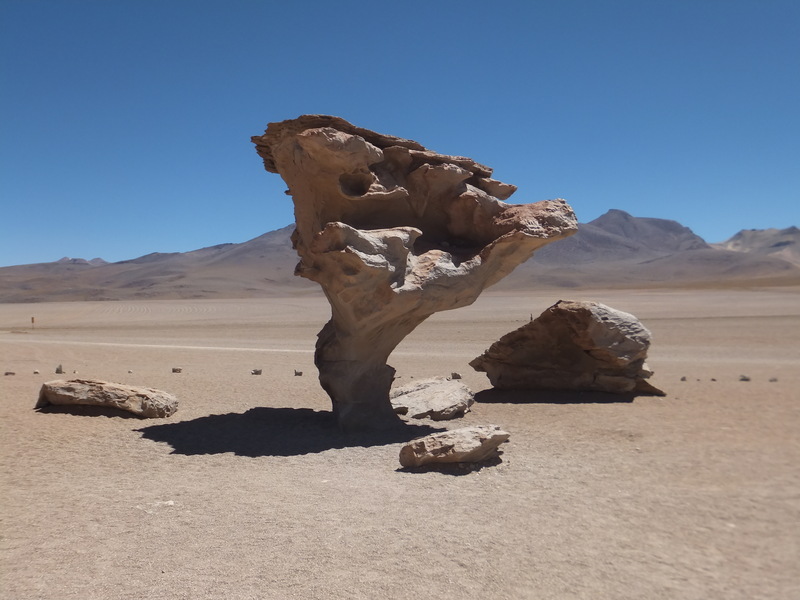 Day 2 consisted of driving across the Atacama Desert (the driest place on earth), seeing a red lagoon, flamingos, volcanoes, geysers, the stone tree / desert of Salvador Dali. We arrived at our refuge for the night where we had to sleep in mixed dorms….for the first and last time of the holiday! 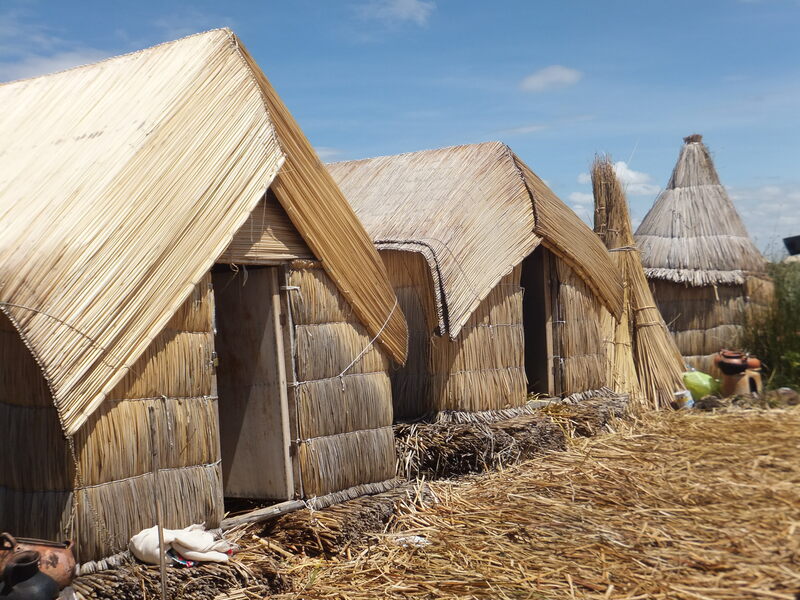 Our refuge was literally in the middle of nowhere, had electricity for two hours of the day from a generator, no running water to shower or flush toilets….instead we were greeted with holes in the ground which smelt rather rank the next day after 24 people had used them! The only positive thing was a small hot spring which everyone crammed into after dinner… It was zero degrees outside, 39 degrees in the springs, pitch black, all you had was the stars in the sky to guide you. 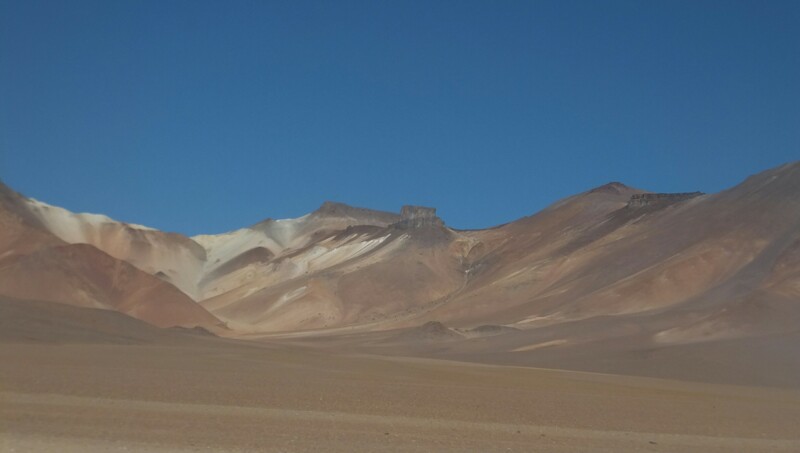 We were at 5000 metres above sea level, which was uncomfortable as it really felt like we were gasping for air through the night. 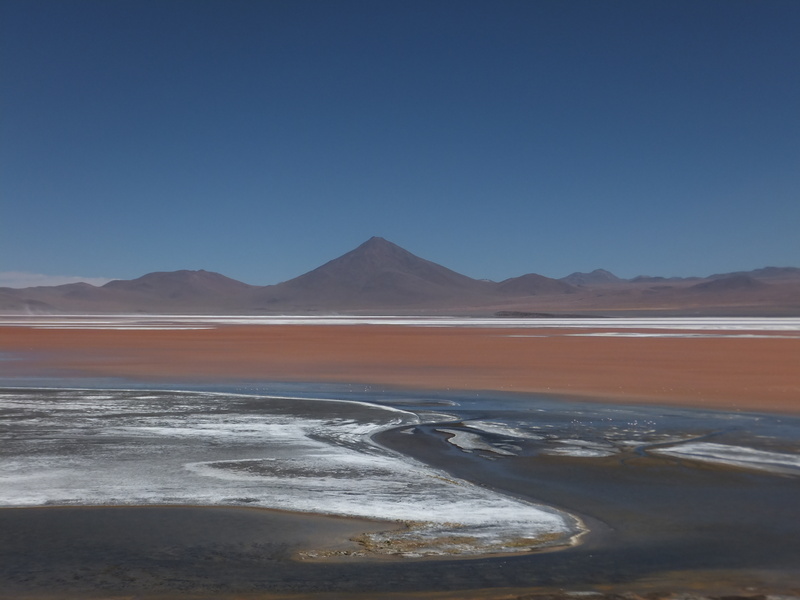 We finished our last day by seeing a green lagoon and more volcanoes and then made the 8 hour journey back to Uyuni. We were dirty, tired and very stiff! We grabbed a quick shower at a hostel and had a ten hour train journey to reach the Argentina border… Followed by queuing for three hours in the sun at the Bolivian border to get our stamp out of the country, followed by a 7 hour bus journey to get to Salta in Argentina….. We have done an epic amount of travelling the last few days with not much sleep….its finally nice to be in civilisation again and to stretch the legs….oh and no altitude problems! Next up Salta / Buenos Aires. 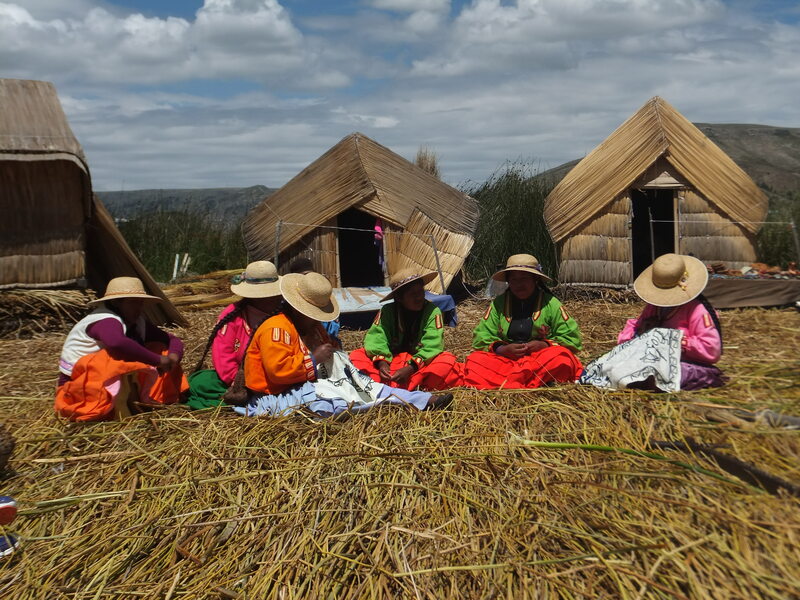 After leaving Colca Canyon we took a long bus ride over mountains, a desert, volcanoes and high plateaus in search of the famous Lake Titicaca, our first destination was the town of Puno. Puno itself was a complete dump and probably the worst place we have visited so far, the traffic was terrible, the buildings were depressing and there was not a single sight worthy of a photo. Luckily we came for the lake not the towns. The evening before we were due to leave Puno our hotel informed us there would be a protest on the main road to our next destination and no buses would be able to get through, our only options were to walk 2 hours through the protests or start at 4am. The early start it was….we highjacked a minivan full of Chinese. Unfortunately the protest started early so the bus couldn’t get through, so the driver took us through the back roads, well dirt tracks. Numerous occasions we were nearly stuck, once we were ordered off the bus as the road had collapsed so the driver tried to make a new road with some stones, we just watched on hoping the bus didn’t fall off the edge of the road!! 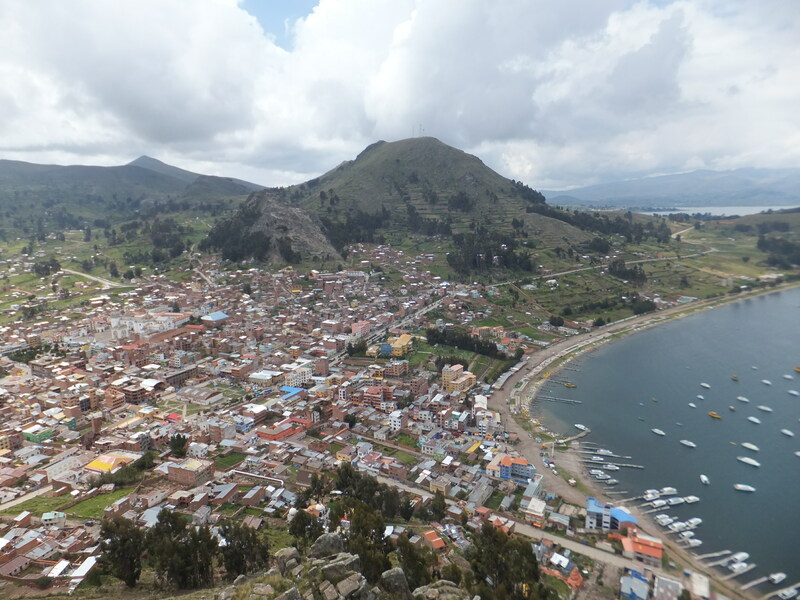 Eventually we made it to the Bolivian side of the lake and to a town called Copacabana, whilst prettier than Puno it seemed like a backpackers town with little charm. 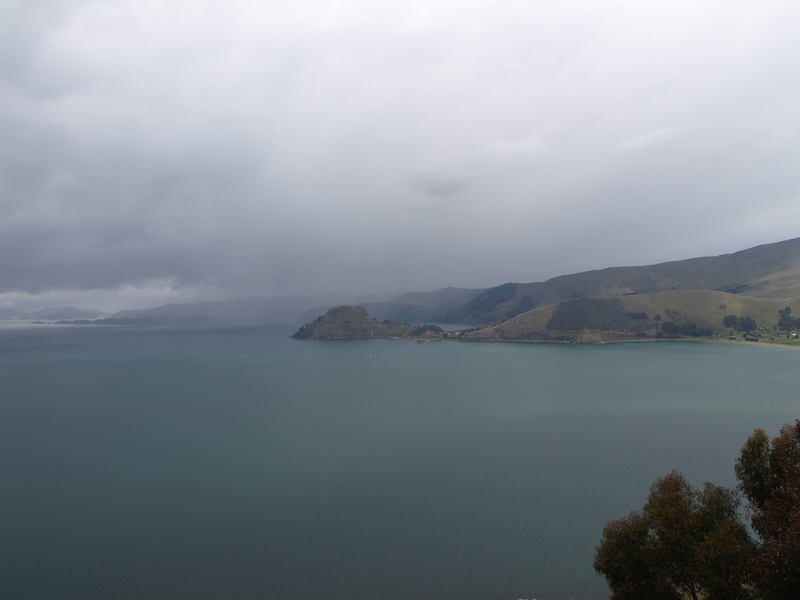 The weather was not great, cold and raining which meant we couldn’t go to another island which was supposed to be nice…..however we did manage to walk up a big hill overlooking the town and the lake and got to enjoy the view. Due to the altitude the climb nearly killed us but the view was worth it. 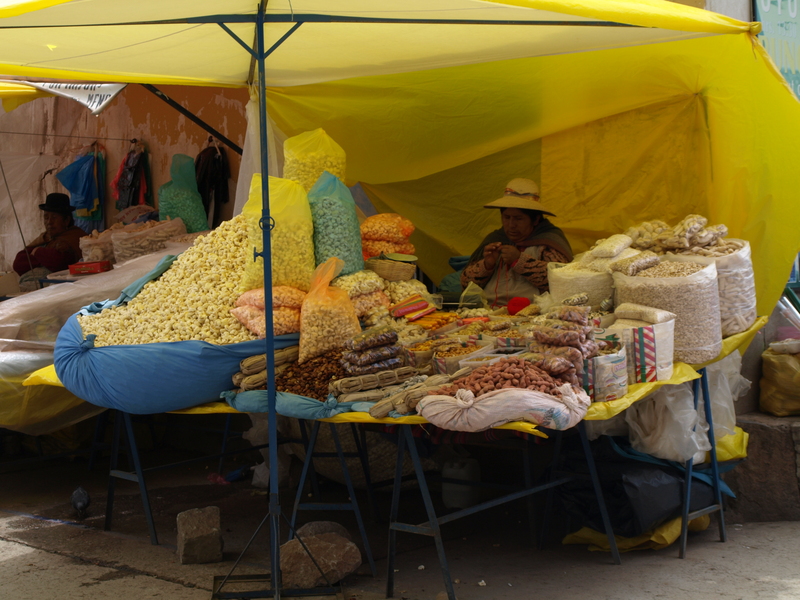 Interesting food items found at local market…..
We had an overnight bus ride from Cuzco to Arequipa….took 11 hours to do 472 kilometres…. We were so high up that it was snowing through the night and at times the bus was barely moving. 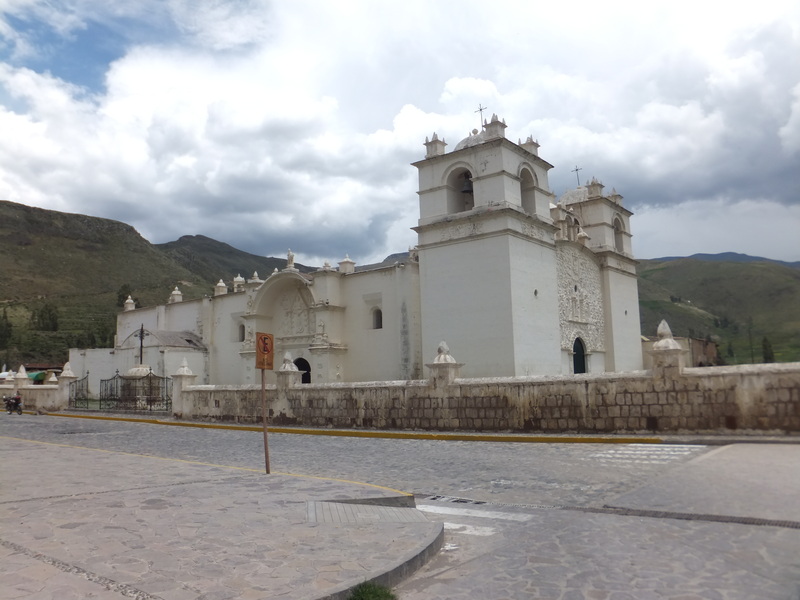 Arequipa is Peru’s second largest city, it has grand colonial buildings which are built from an off white volcanic rock that dazzles in the sun. It has been baptised as the white city. 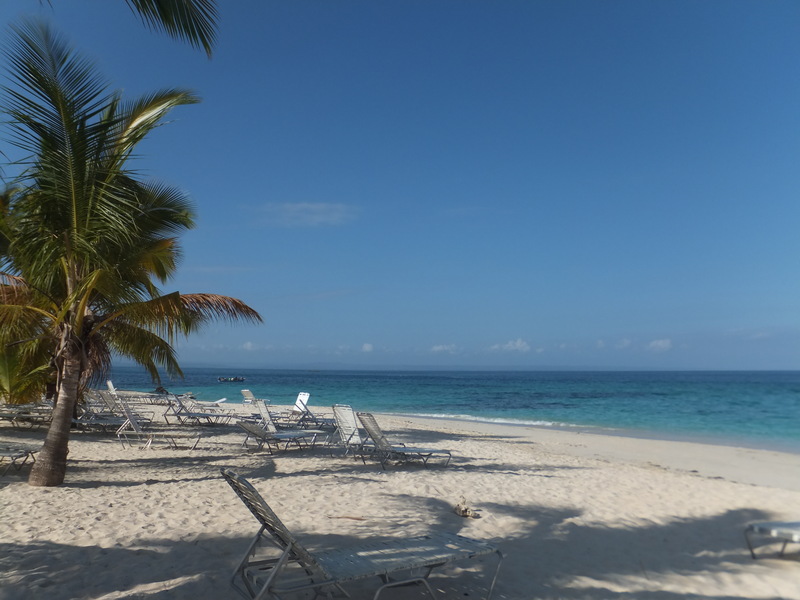 We spent a day here just strolling around the vibrant city centre before we moved on yet again…. 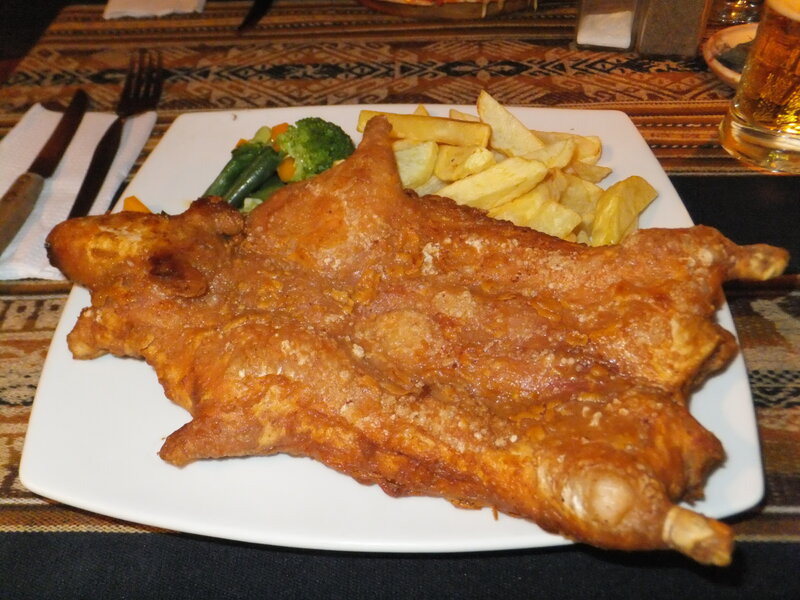 Andy also thought it was time to sample Guinea Pig… It wouldn’t have been so bad if it didn’t actually resemble one and have a little face with ears! .. He lifted up the head and the teeth clunked down on the plate.. Not much meat on the lil sucker but he enjoyed it! We decided to try a local bus to get us to a place called Yanque which was about four hours away. The bus weaved up and down the mountains, probably the most beautiful scenery here in Peru that we have seen since the start of our travels. The bus made a pit stop halfway where we could go to the toilet….but alas there was no toilet….it was a patch of dirt that everyone had to use if you were game and it certainly wasn’t for the shy! 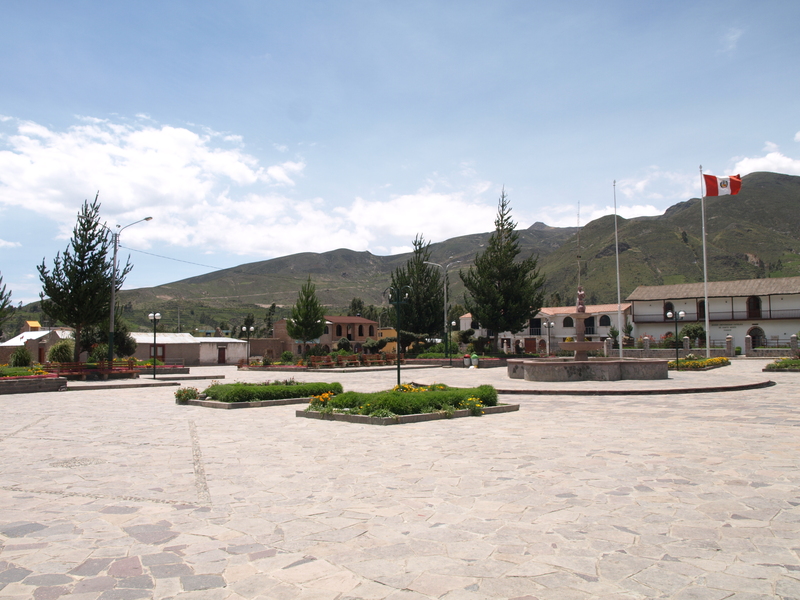 The bus arrived in the main square of Yanque, Andy and I were the only ones that got off….. The surroundings could only be described as a film where the whole town has been wiped out by aliens, a loose shop sign creaking in the wind and not a soul to be seen anywhere…. 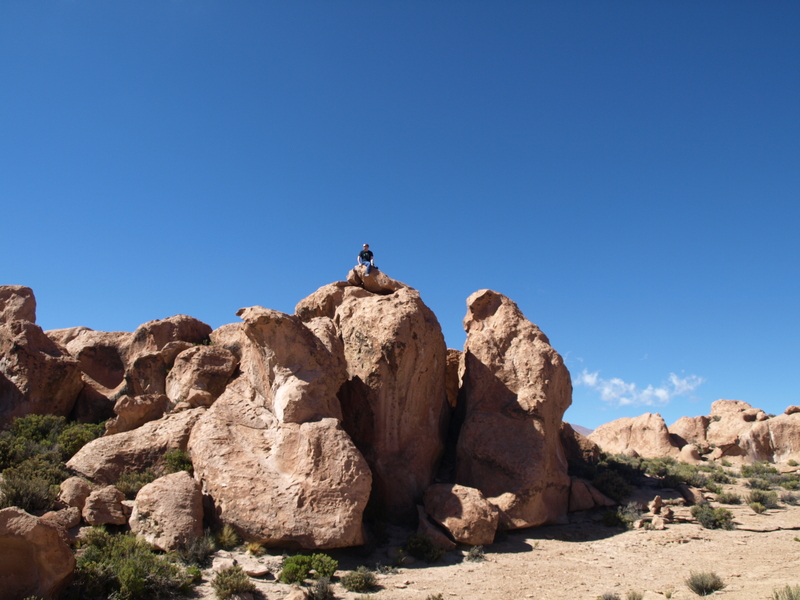 All that we needed was tumbleweed to pass us by….I looked at Andy and thought where the hell are we?! We had a booking at a small bed and breakfast and managed to find our way there….the roads were dirt and we were surrounded by mountains. We passed a few stray dogs and a donkey! Turns out that we were the only tourists staying here, the population is approx 200 people in this tranquil rural village. 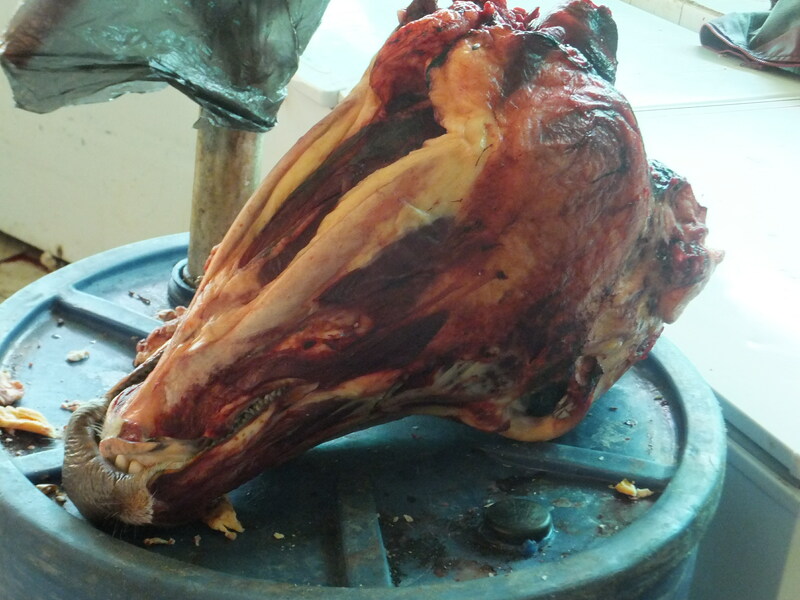 The bed and breakfast was lovely….. no WiFi….three course dinners prepared by the owners wife, more alpaca steaks! Delicious! 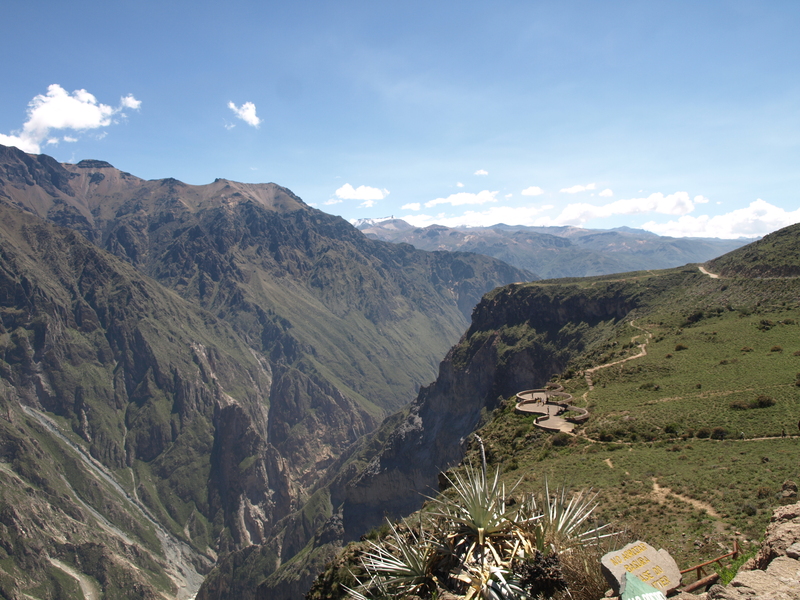 The reason for coming this way was to visit Colca Canyon which is twice as deep as the Grand Canyon at 3191 metres. 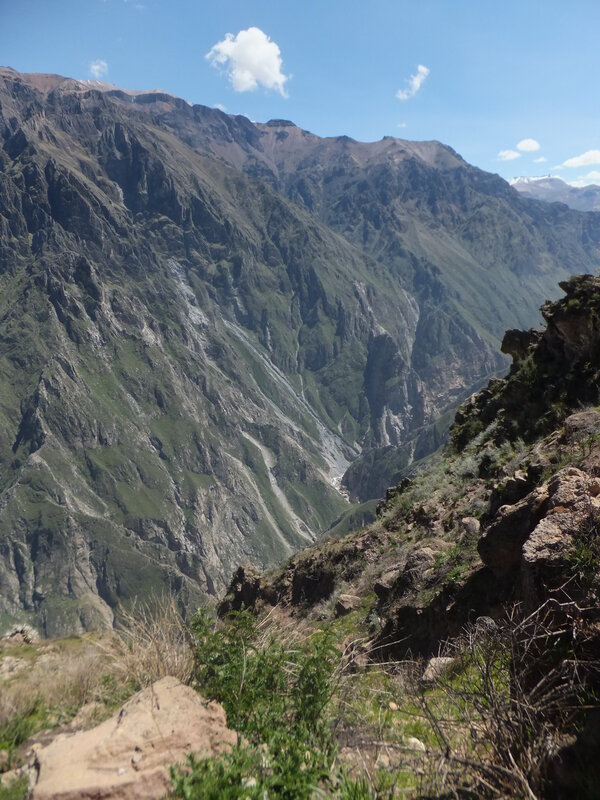 We jumped on a bus that came through the main square and travelled across dirt roads for an hour and a half until we found ourselves at Cruz del Condor which is a viewing point across the canyon where you can see Condors. We were lucky enough to see four! The scale of the canyon was enormous and again the scenery was beautiful. 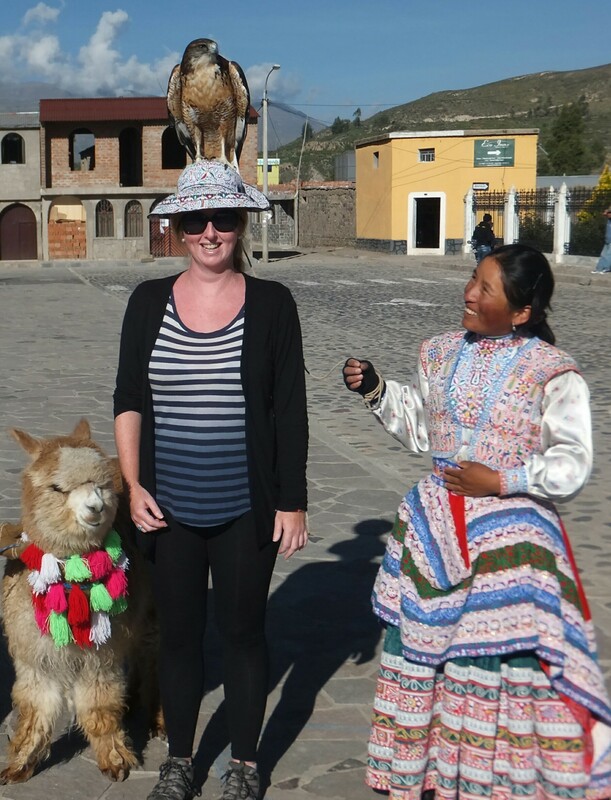 We stopped at another small village where I got close to some animals! Yes, very touristy of me! 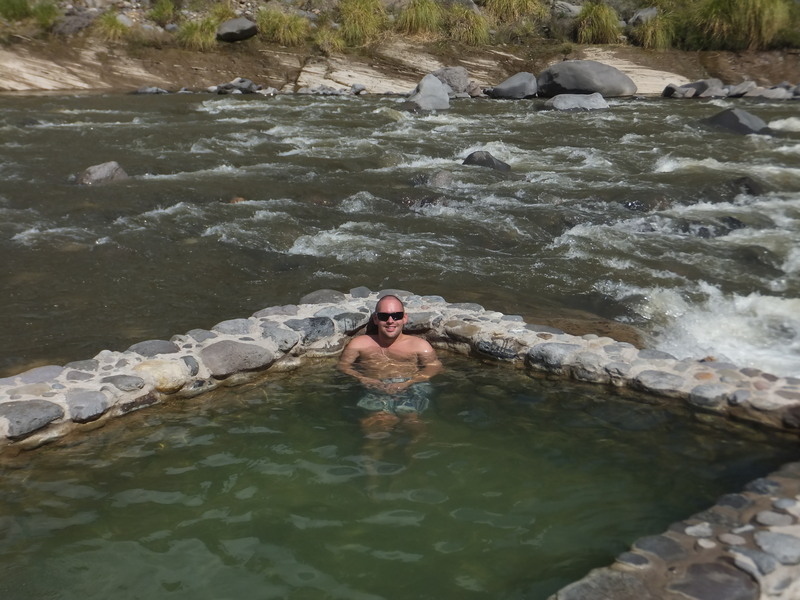 🙂 we made our way back to Yanque and found some hot springs which were a 30 minute walk away…. 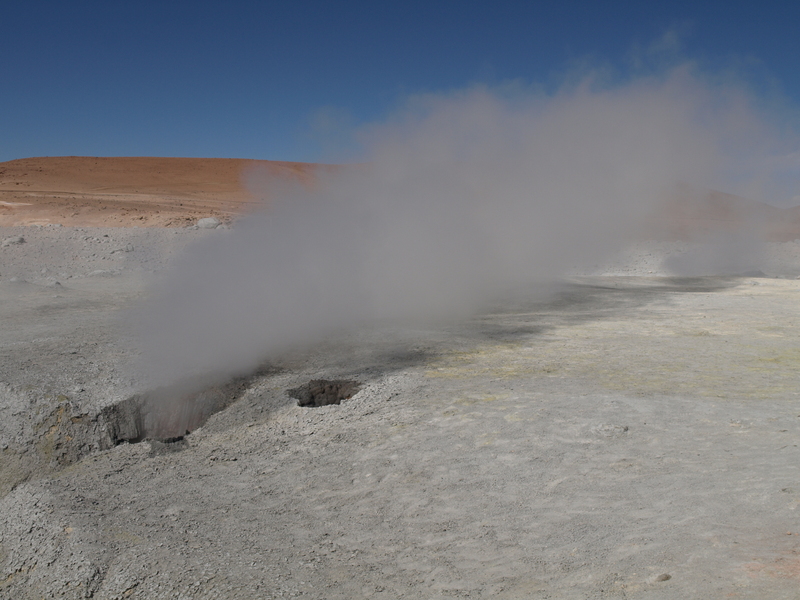 The water was coming from a volcano and was incredibly hot…. 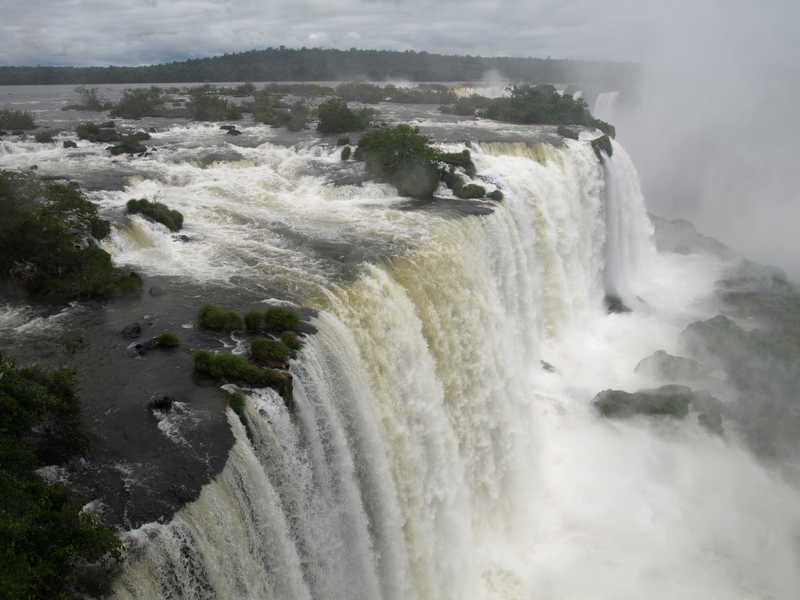 So relaxing whilst we sat and watched the river gush by…. 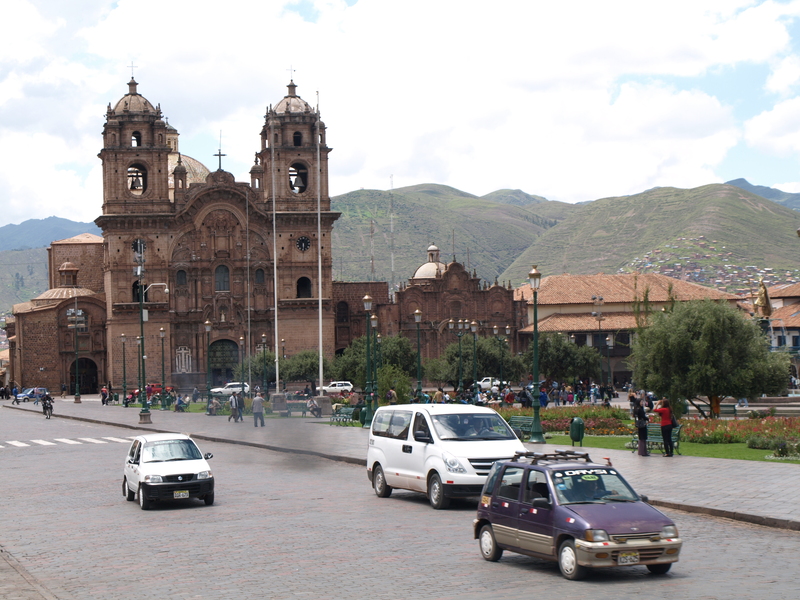 We gladly left Lima and headed for the city of Cusco high up in the Andean mountain range. Cusco is about 4000m above sea level so we went with some trepidation surrounding altitude sickness, which luckily we didnt seem to get. However our hotel had 40 stairs to our room, let’s just say we had to stop after 20 to get our breath back. 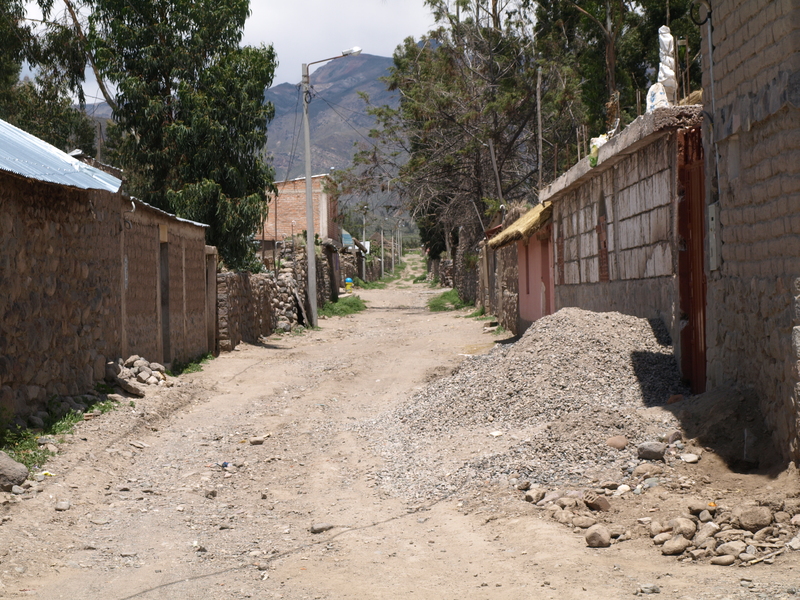 We decided to take it easy and go for a gentle stroll around the town but we felt so unfit we couldn’t get far, the lack of oxygen really was an unusual feeling. Luckily after 24 hours we could climb our stairs and we began to feel normal again! 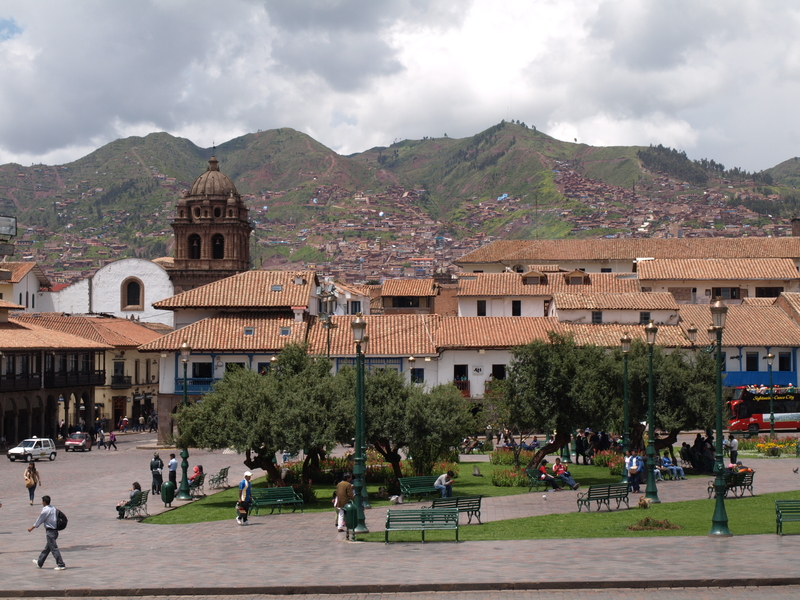 Cusco town was really pretty and reminded me of Krakow in many ways with its squares and beautiful buildings surrounded by picturesque mountains. Being the middle of summer, when the sun is out its incredibly hot and every tourist dives for the sun cream but in the evening the temperature plummets to below 5. To cope with this we purchased some rather fetching Alpaca jumpers and gloves, we may look like silly tourists but we are really warm!! 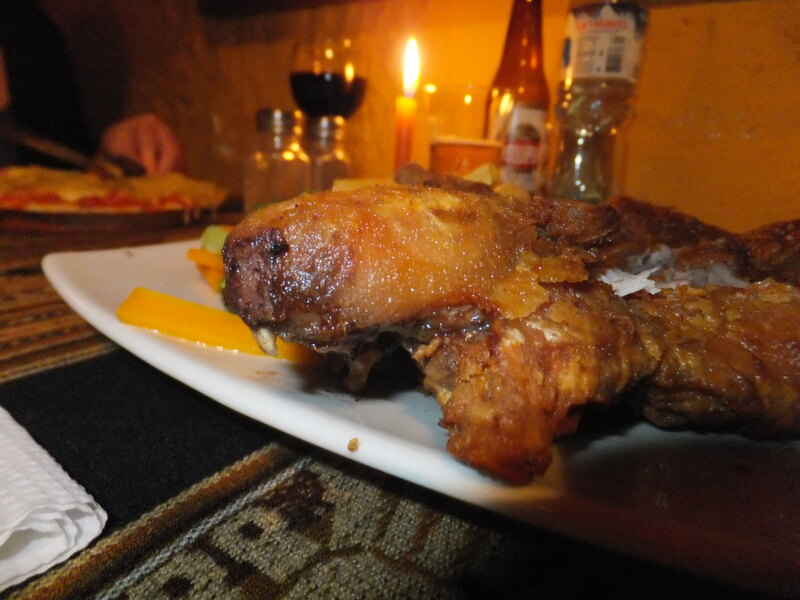 Speaking of alpaca we couldn’t come all this way and not sample the delicacy, its a hard meat to describe as its soft with no over powering flavour but we thought it tasted good and will definitely have it again! 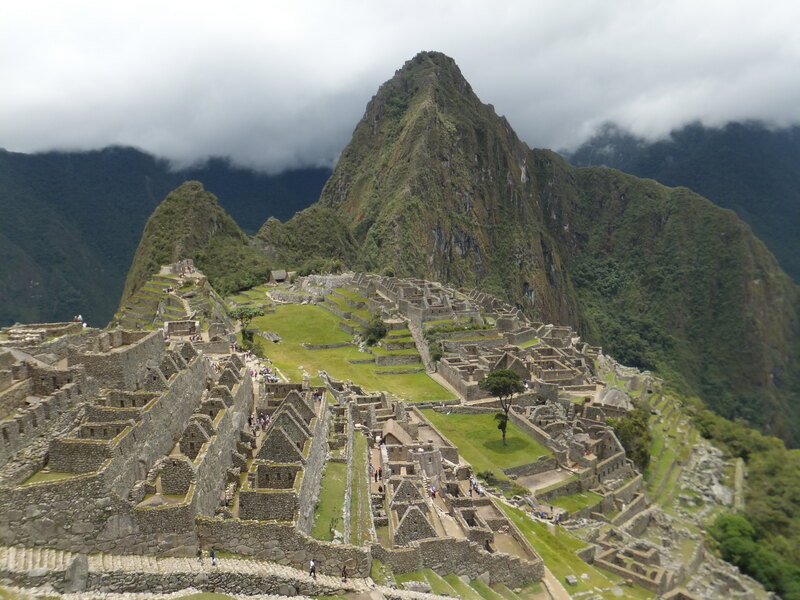 The main reason for coming to Cusco was to go to Machu Picchu, the famous Inca ruins perched on top of a mountain. To get to Machu Picchu it involved a train ride through the mountains which whilst was great scenery was not as interesting as the return leg, more to come on that later. 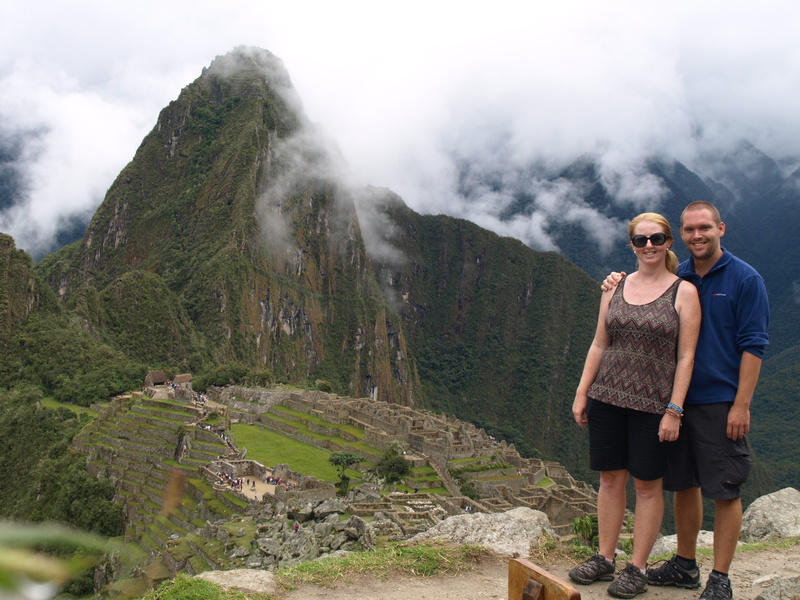 To get to Machu Picchu involved a rather scary bus ride which wound its way up the mountain with several hundred metre drop down to the valley floor. 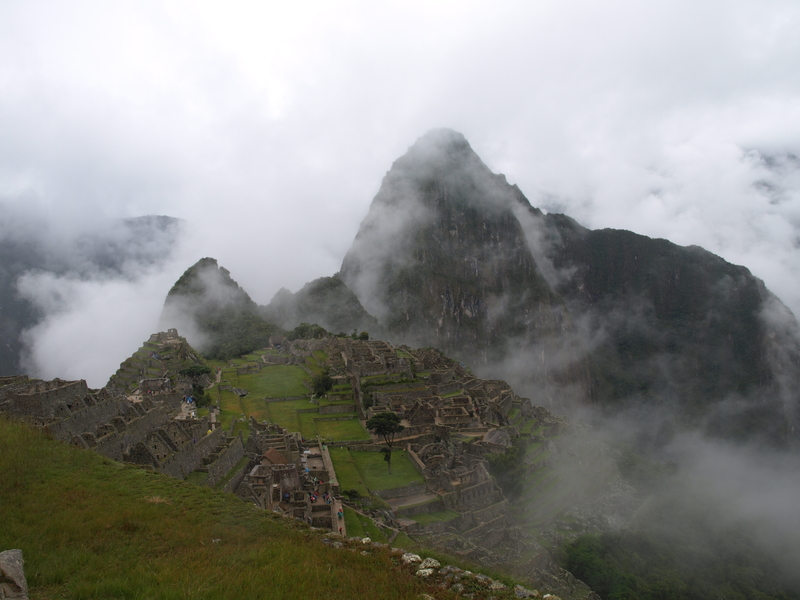 When we arrived at the top, the mountain was shrouded in mist and rain meaning we could only see patches of the ruins and mountains which gave a very eery and magical feeling. After a while the sun burnt through and we were left with the most amazing and awe inspiring site I think I have ever seen. The 600 year old ruins had the most amazing back drop which words just cannot describe. The train journey back probably had the most surreal 30 minutes of my life. 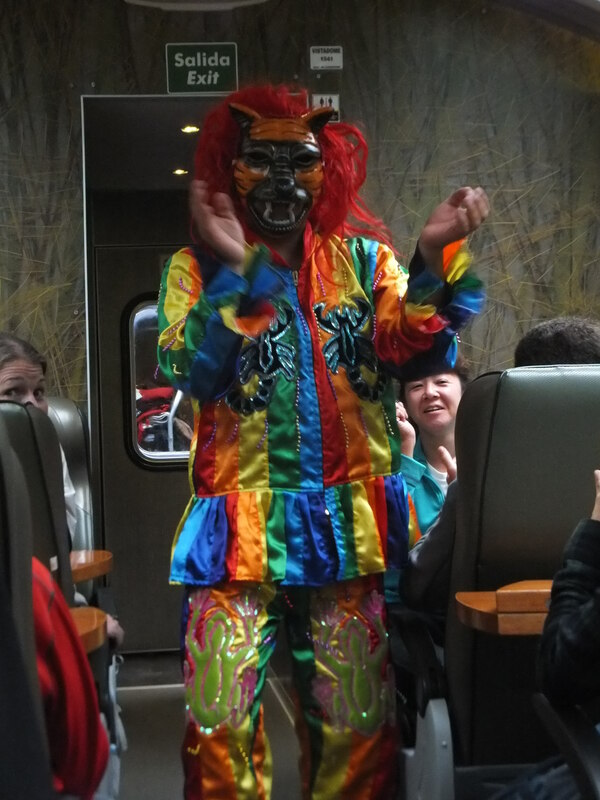 From out of nowhere a man dressed in bright Peruvian clothes and a tigers mask danced through the carriage purring at everyone, especially those who weren’t clapping with him. This followed by him picking out random people to join in a fashion show demonstrating this years must have alpaca clothing range. All I could think was that English train journeys would be much more interesting if we had this! 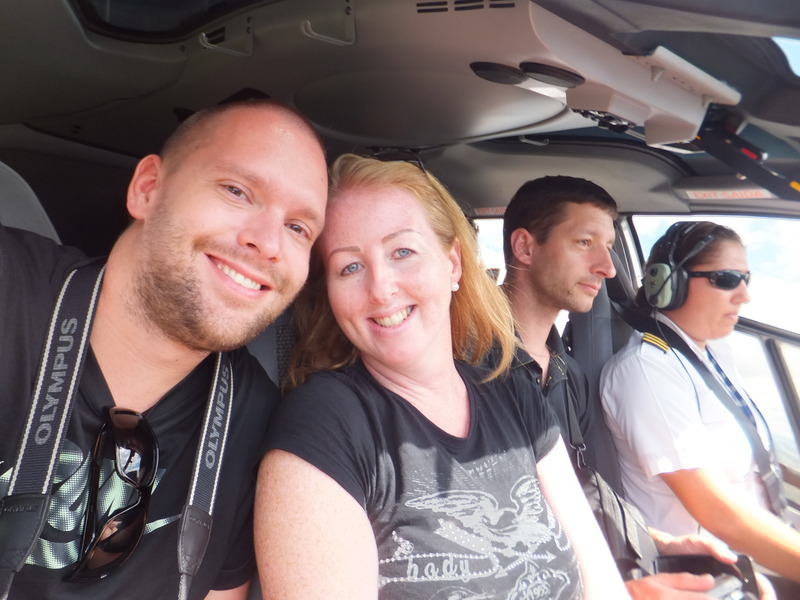 Just a very quick update….our first class flight from Hawaii to New York was totally amazing!…however our flight was delayed yet again which meant we missed our connecting first class flight to Lima. 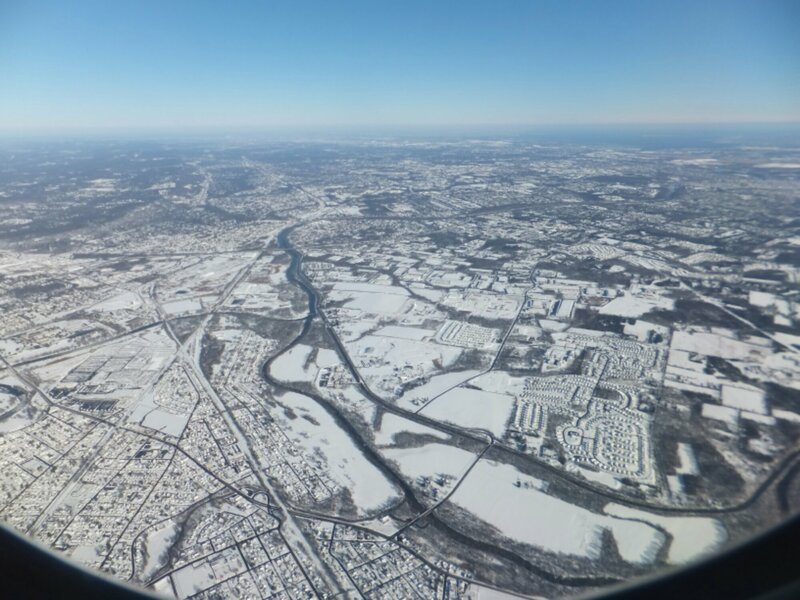 We landed in NY and were faced with SNOW which was not on our agenda!!! Dressed in flip flops, shorts and vest top we were not expecting to spend the night where it was currently minus ten degrees! We couldn’t do any sight seeing as we didn’t have any warm clothes to put on…spent 24 hours sitting in the hotel next to the heater! Yes, that is a foot of snow!!! 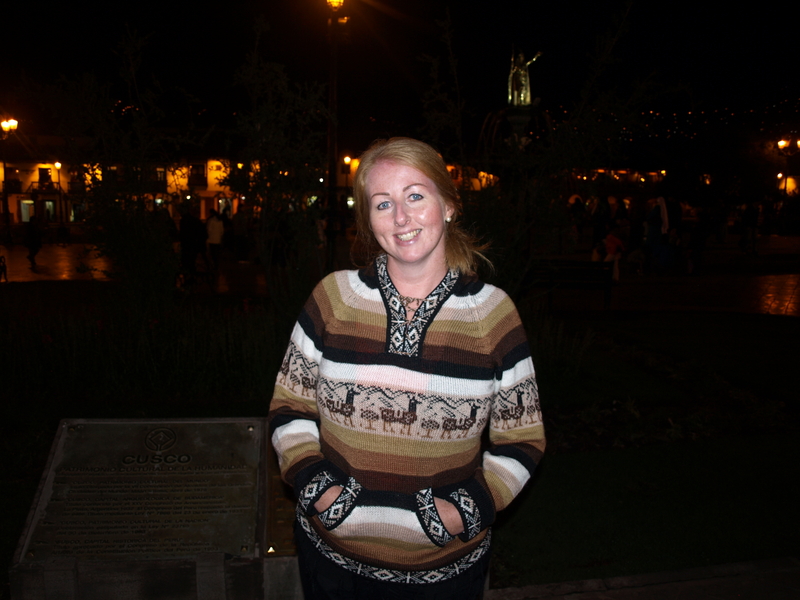 Arrived in Lima and have spent a couple of days just getting our heads back into back packer mode… It’s started happening again….being photographed by the locals and I even got filmed this morning for some kids English homework whilst Andy just sat laughing at all the funny questions I was asked! 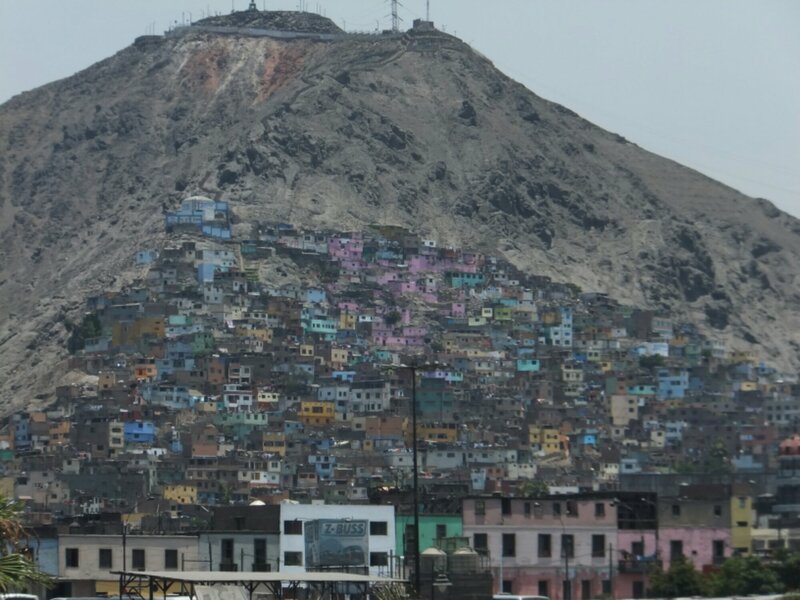 First impressions of a South American city are exactly how we expected….manic, never sleeps, slums on the hill side along with the never ending honking of car horns. The next few weeks are going to be an adventure and certainly the toughest we have faced yet. 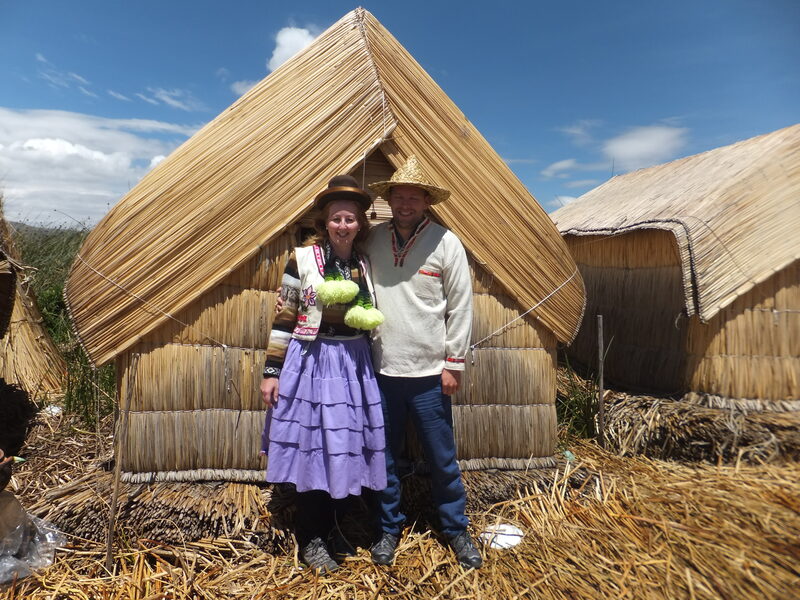 Next up – fly to Cusco tomorrow…. Unfortunately back in economy class with a high chance of altitude sickness! 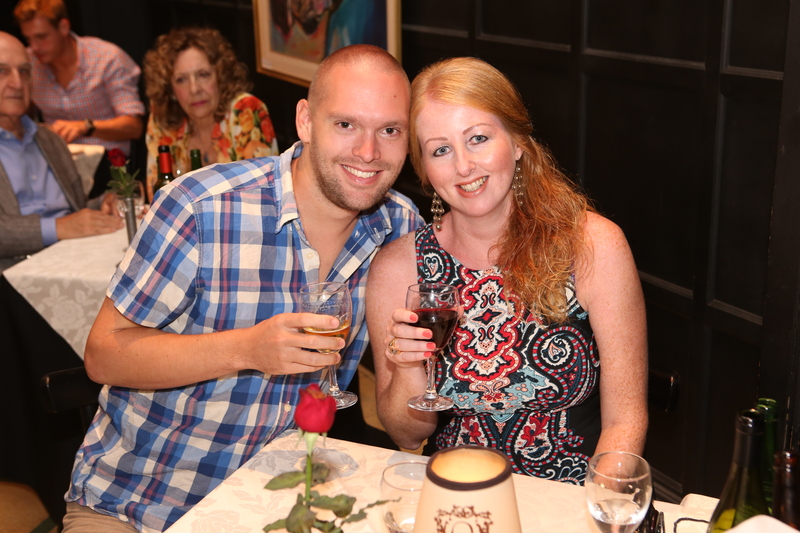 A couple looking to experience the world!